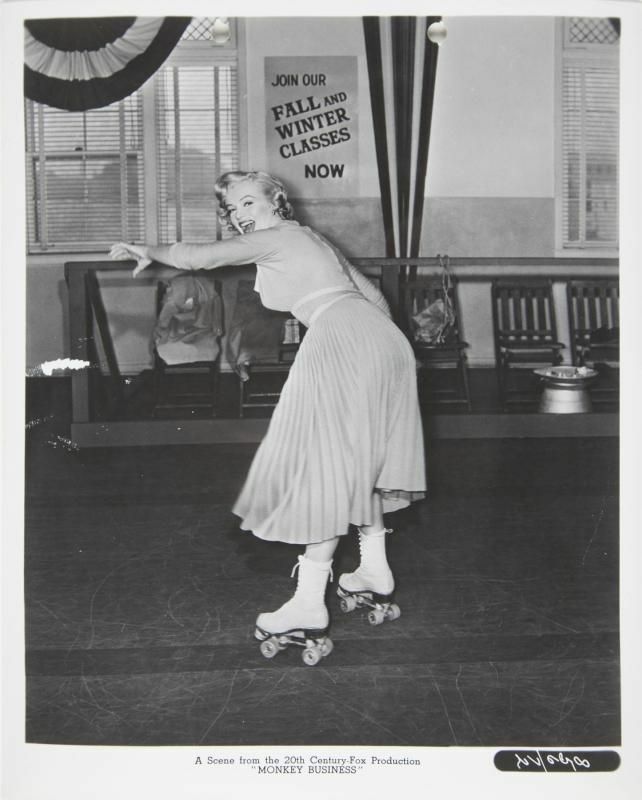 A jumbo window card for Marilyn Monroe's film debut, Dangerous Years (20th Century Fox, 1947). 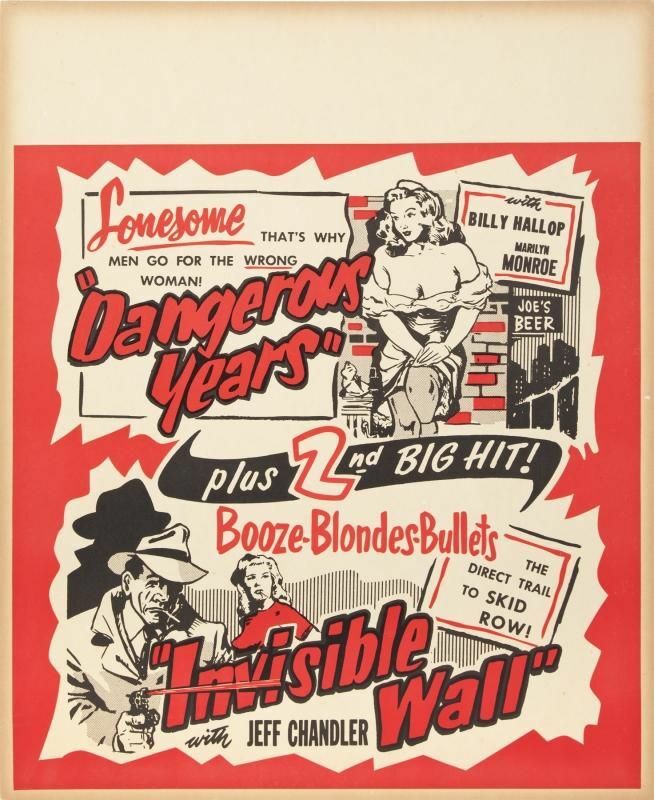 Printed in black and red on cardstock, the card also features a promotion for The Invisible Wall (20th Century Fox, 1947). 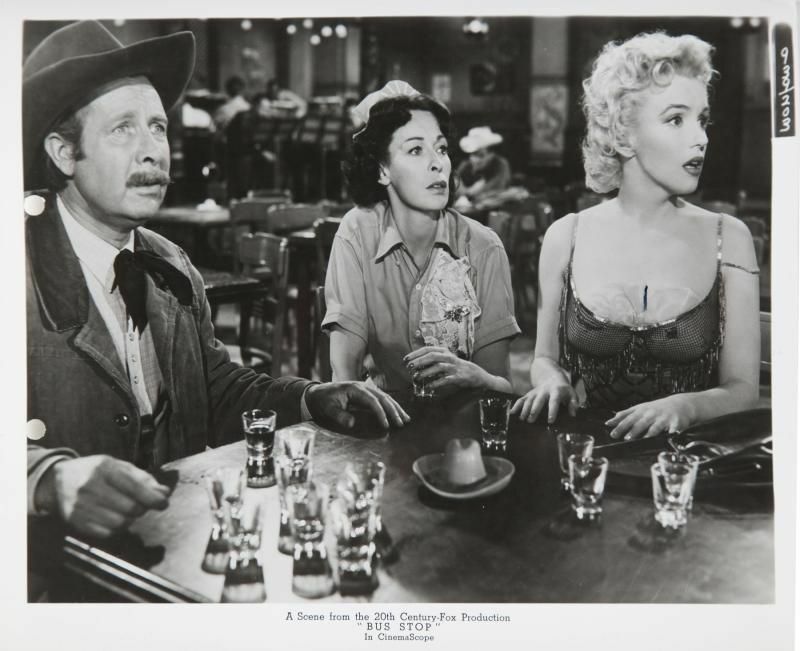 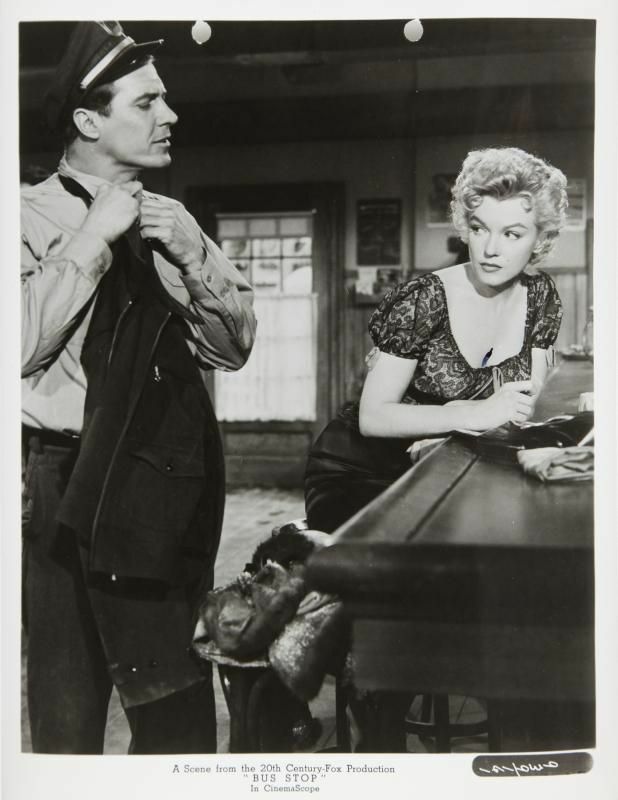 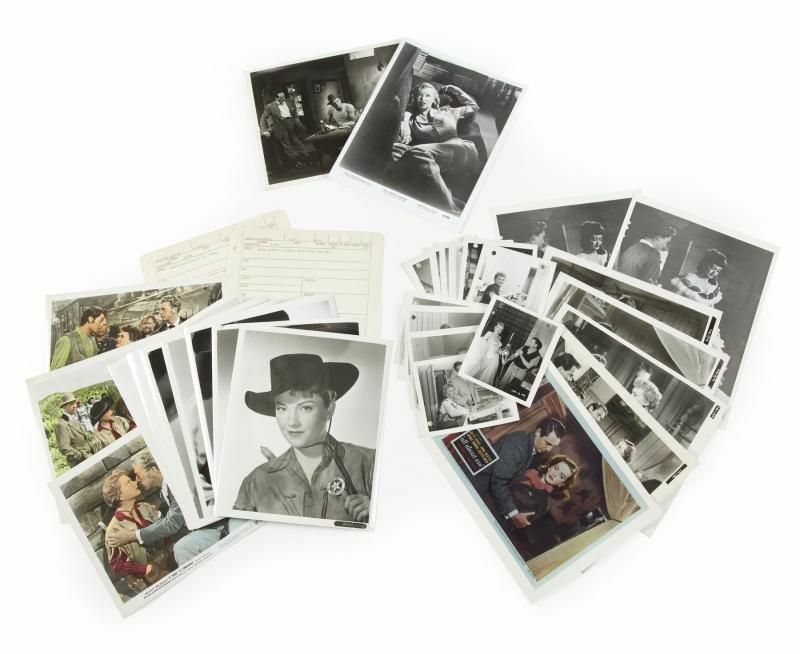 A publicity still and wardrobe archive of Marilyn Monroe's 1950 films including two wardrobe plot book pages from A Ticket To Tomahawk (20th Century, 1950) for Monroe's character, Clara; with 13 publicity stills (10 black and white, 3 colorized) of Anne Baxter, Dan Dailey and Rory Calhoun. 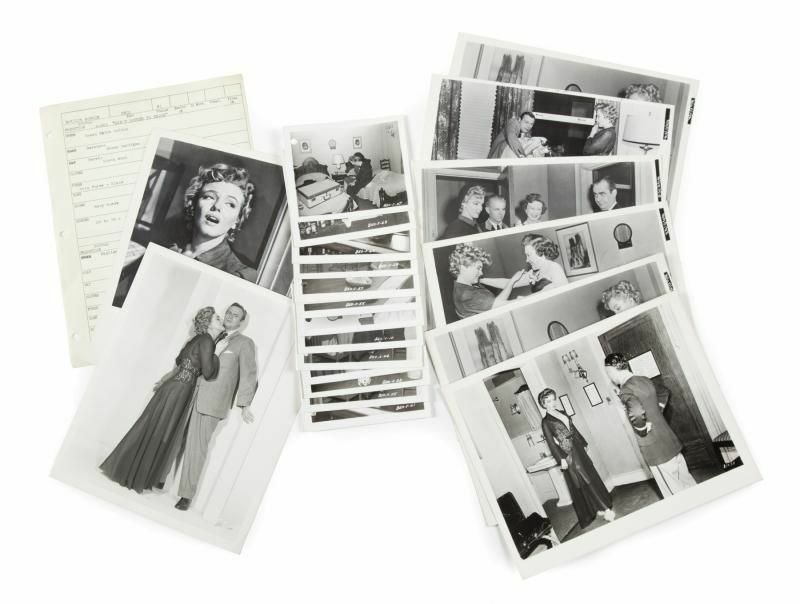 All About Eve (20th Century, 1950) publicity image archive containing 11 small black and white images stamped on verso by the Advertising Code Administration of Hollywood with one image of Monroe and 10 of Celeste Holm and four publicity images from the film. 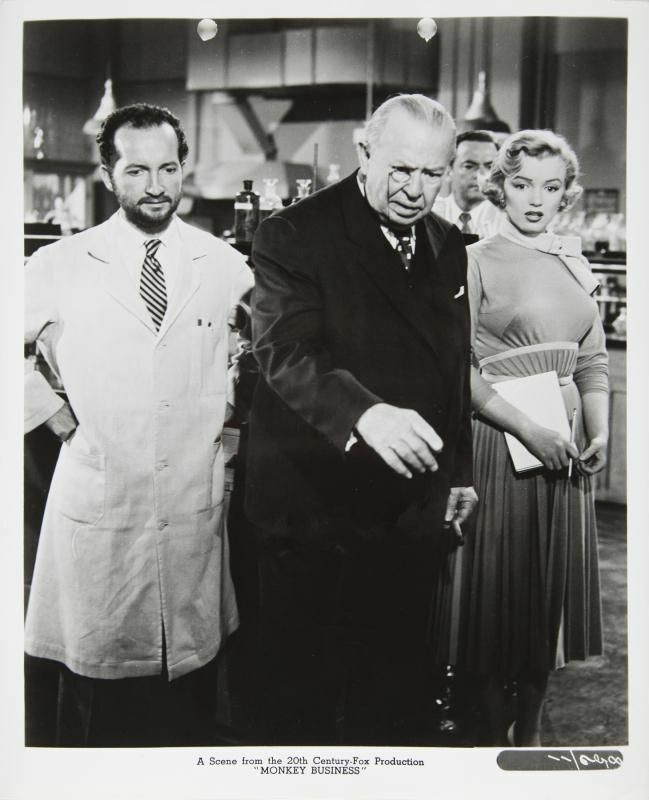 Two black and white publicity images from The Asphalt Jungle (MGM, 1950), one of Monroe. 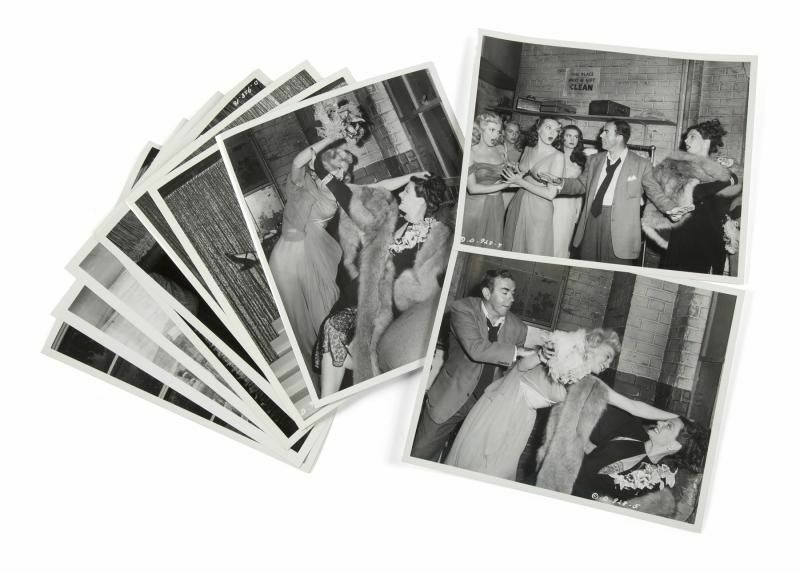 An archive of publicity stills and wardrobe images from three of Marilyn Monroe's early films including a group of 11 black and white publicity images from Ladies of the Chorus (Columbia, 1948), each stamped "Columbia Pictures / Photo by / Lippman" with publicity snipes on verso; three of the images show Monroe's character in an altercation with Marjorie Hoshelle's character. 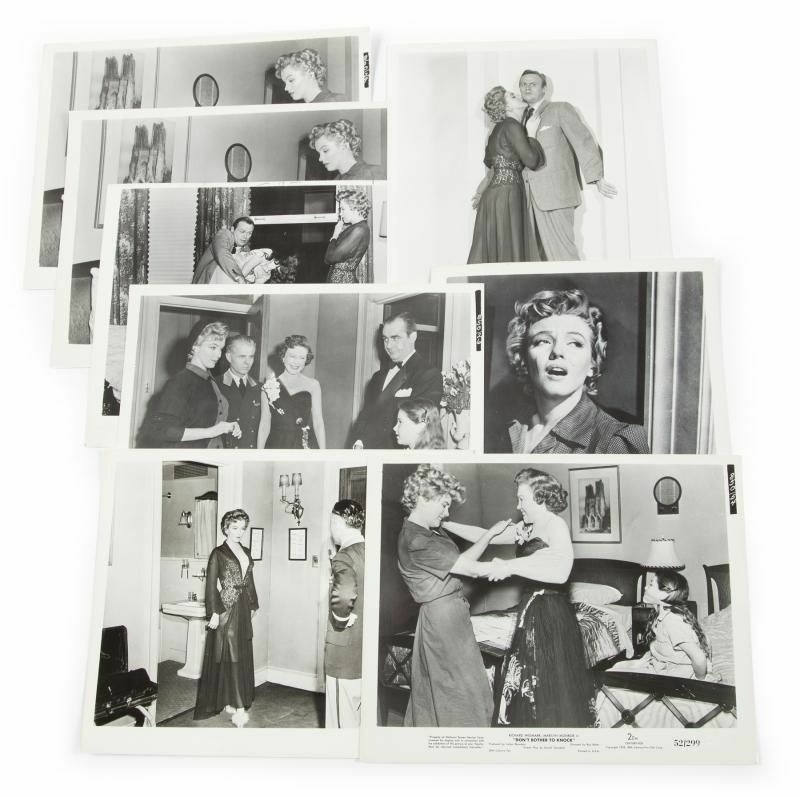 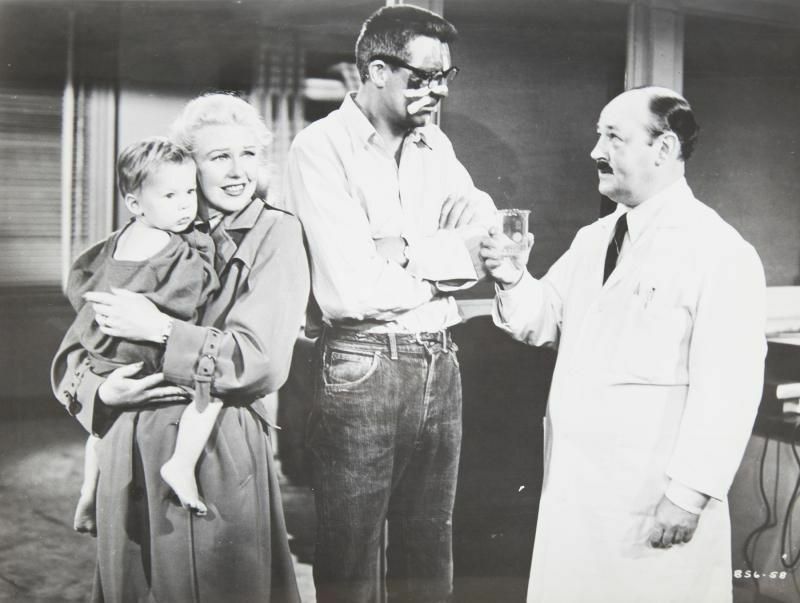 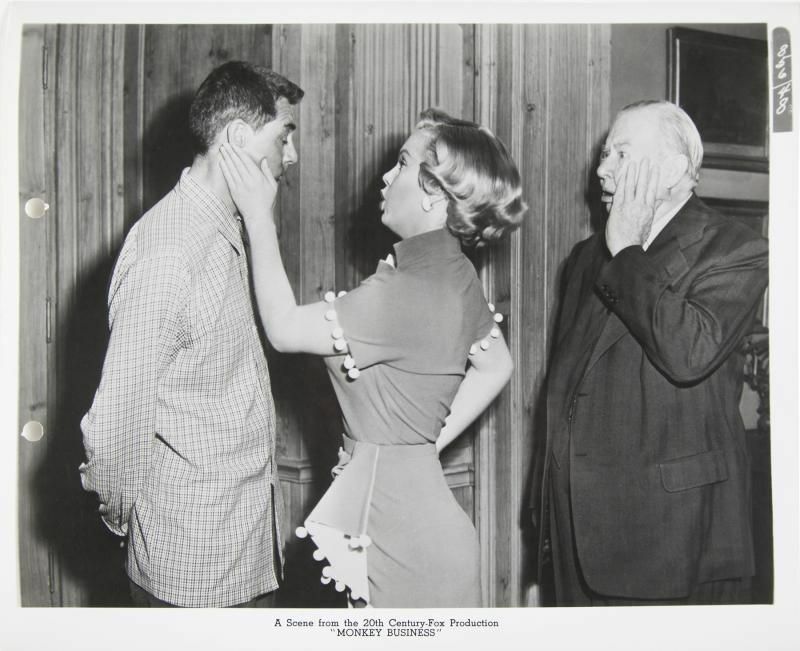 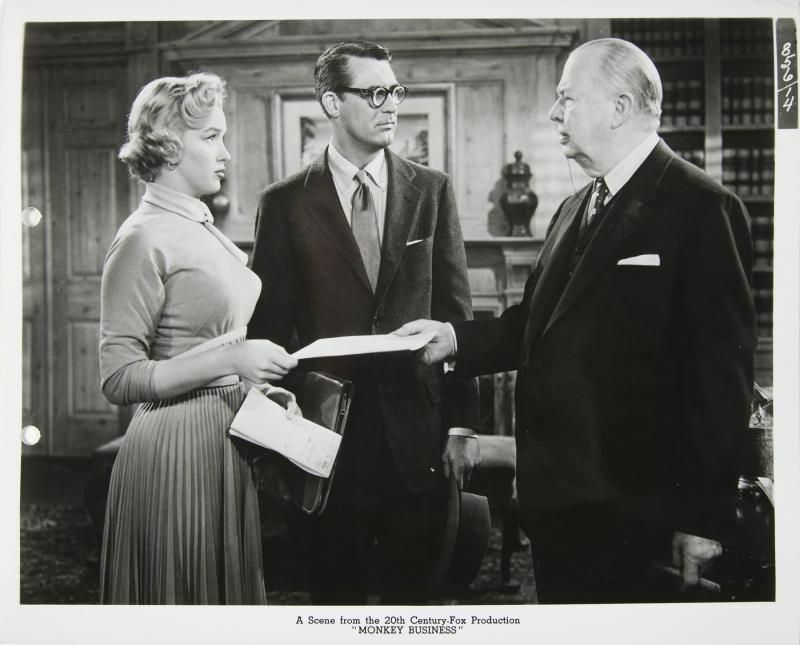 A Monroe wardrobe continuity image, a copy of a Monroe publicity image, and an original publicity image of other cast members from Love Nest (20th Century, 1951). 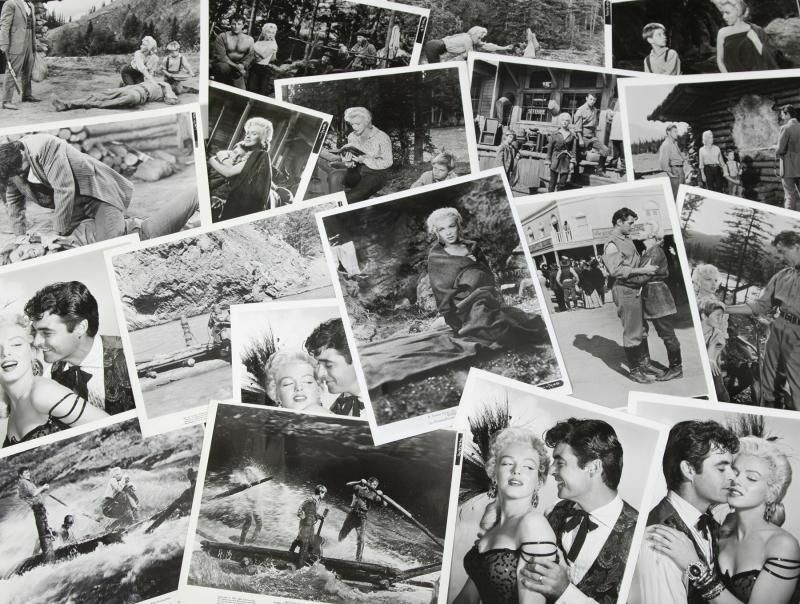 Publicity stills from Clash by Night (RKO, 1952), including approximately 17 black and white publicity stills, some stamped on verso " Photo by Roderick " with RKO information accompanied by publicity snipes; two feature Monroe. 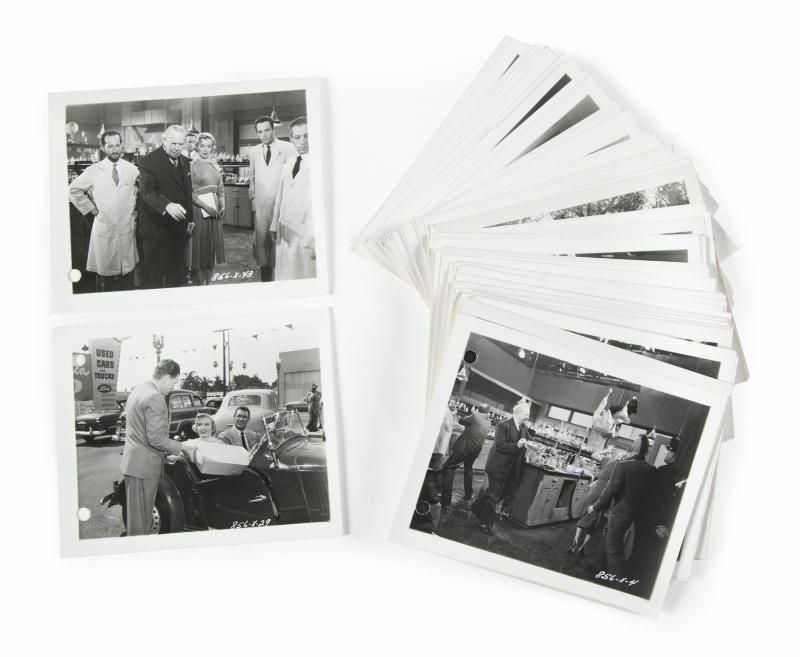 Fourteen black and white publicity stills blind stamped "Property of N . S . S . Corp" with two other unstamped publicity stills. 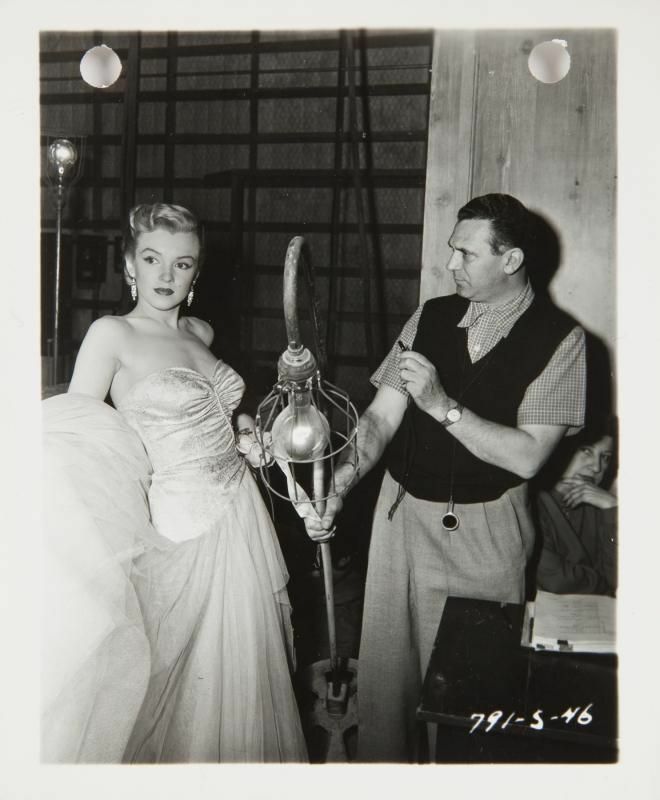 As Young As You Feel (20th Century, 1951) wardrobe continuity photo archive containing 14 black and white images; one of Monroe. 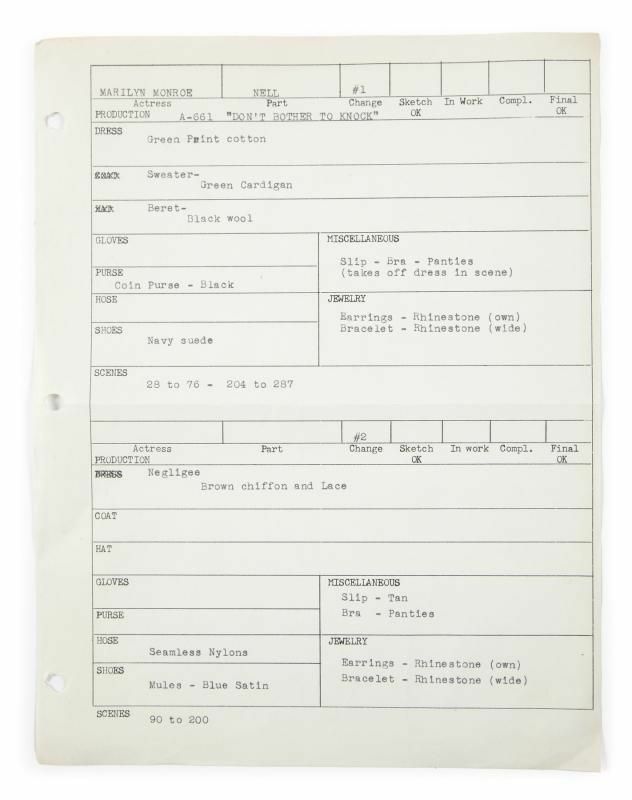 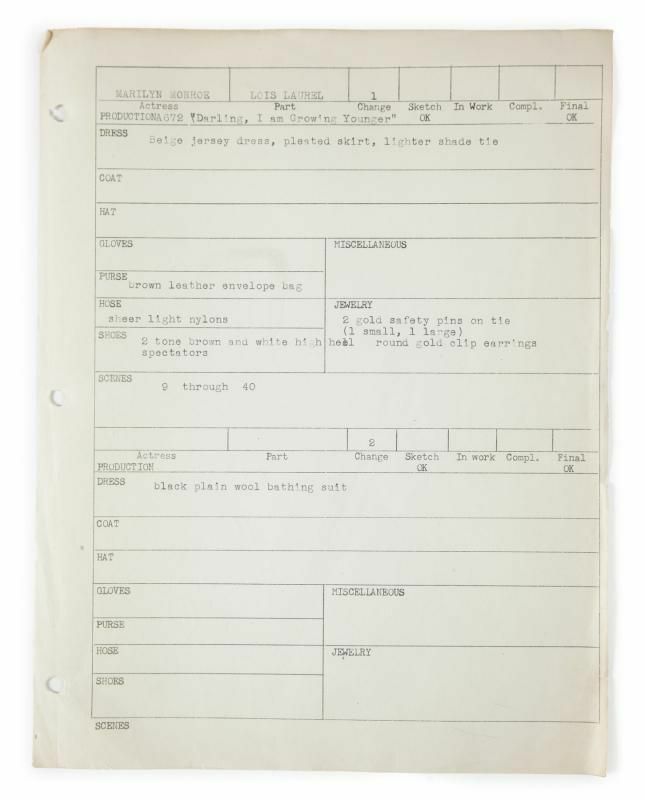 A Marilyn Monroe typed costume continuity sheet for her character Nell Forbes (changes 1 and 2) in the film Don't Bother To Knock (20th Century, 1952). 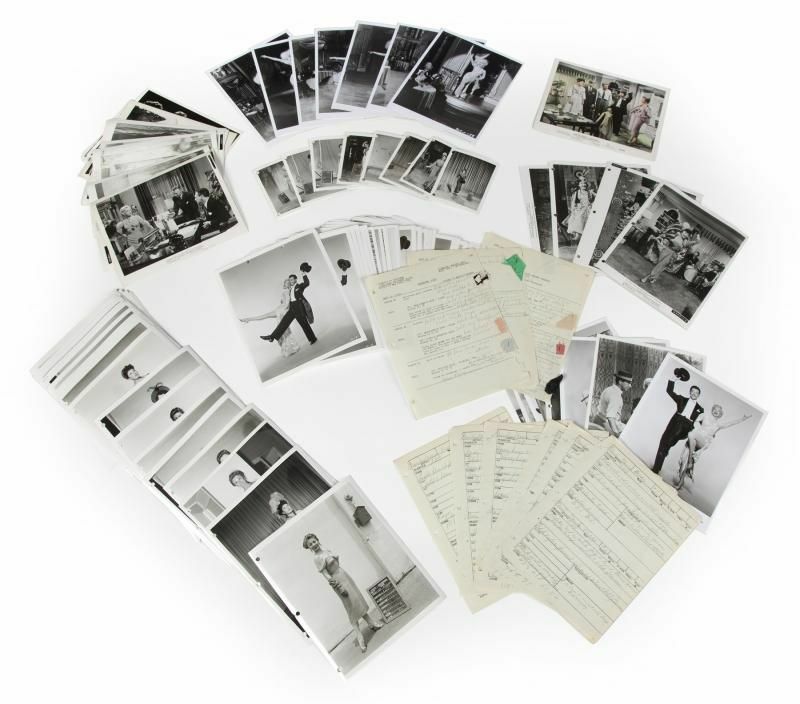 Accompanied by approximately 14 small black and white continuity photographs shot on set and eight black and white publicity photographs, four of which are blind stamped "Property of N.S.S. 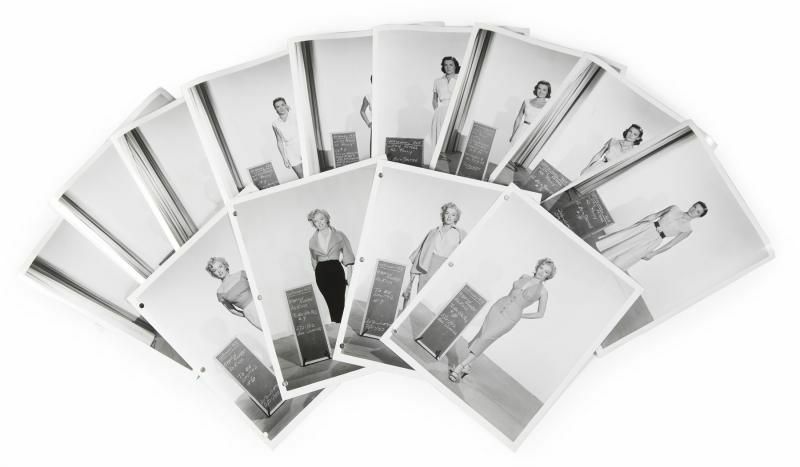 Corp."
A group of four wardrobe continuity sheets for Marilyn Monroe and Ginger Rogers from the film We're Not Married (20th Century Fox, 1952). 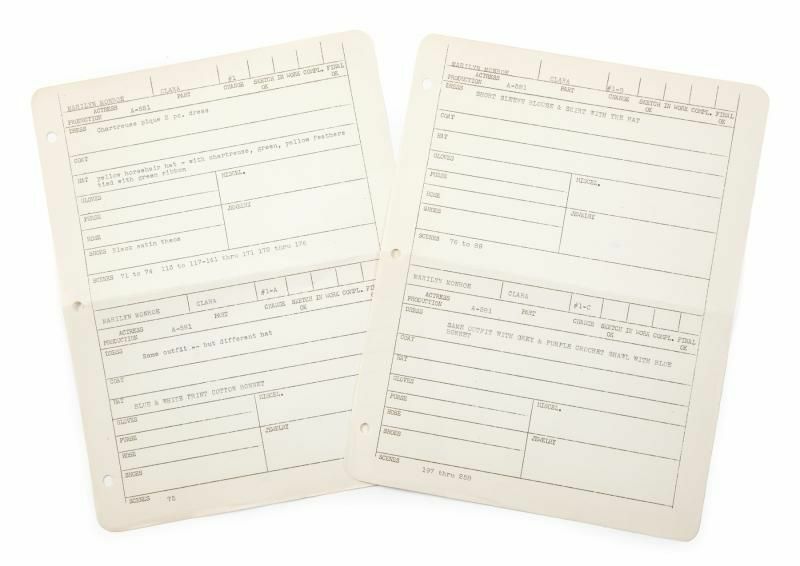 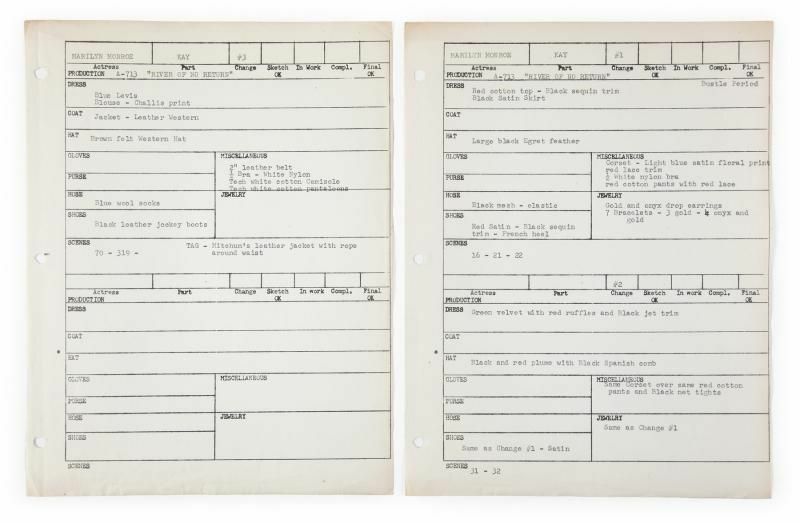 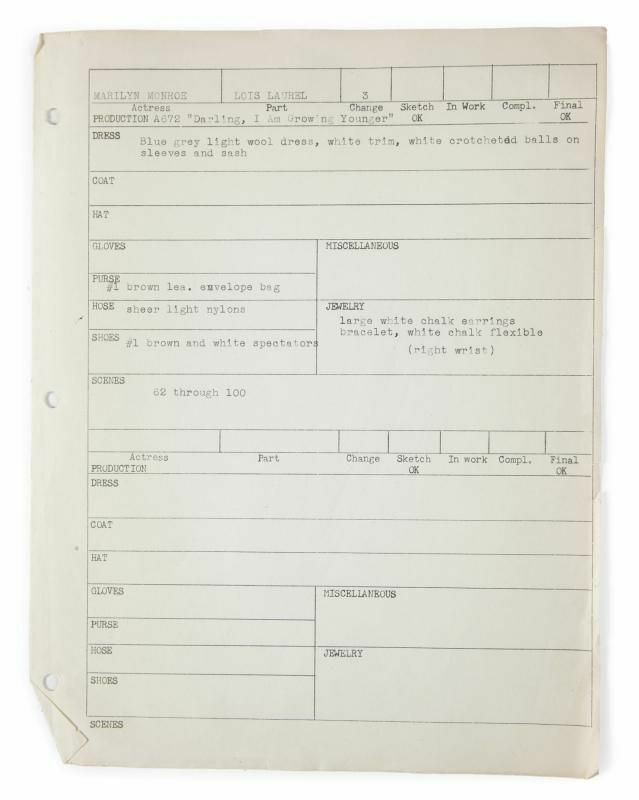 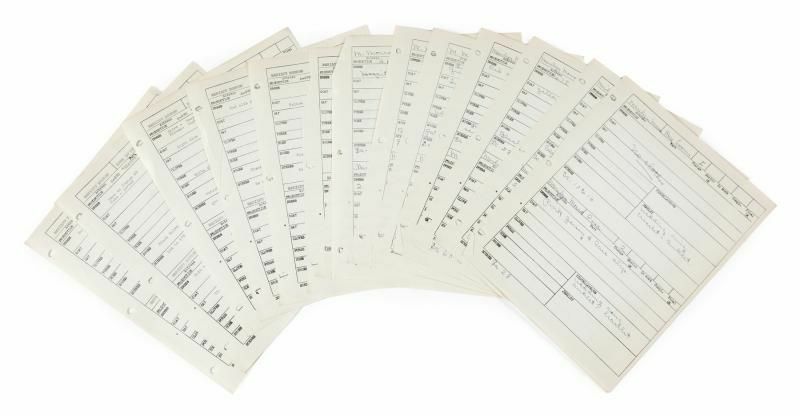 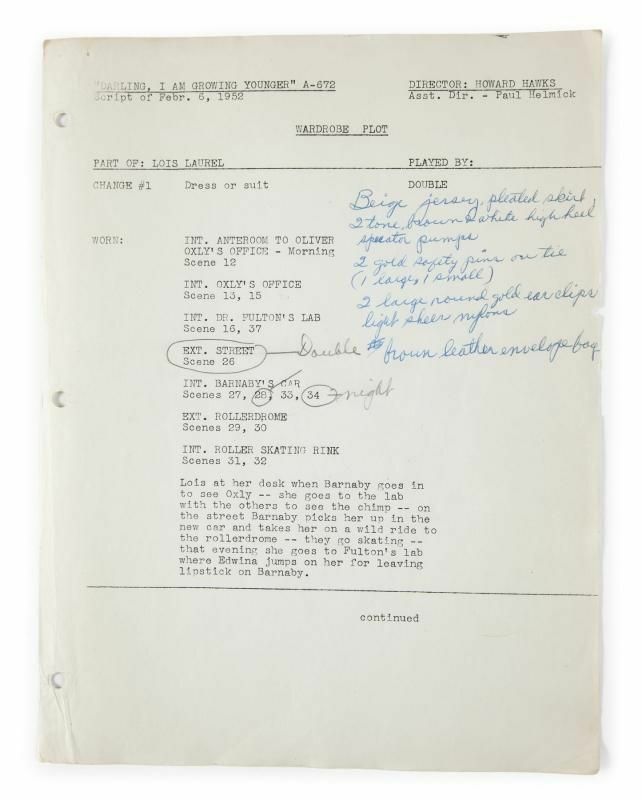 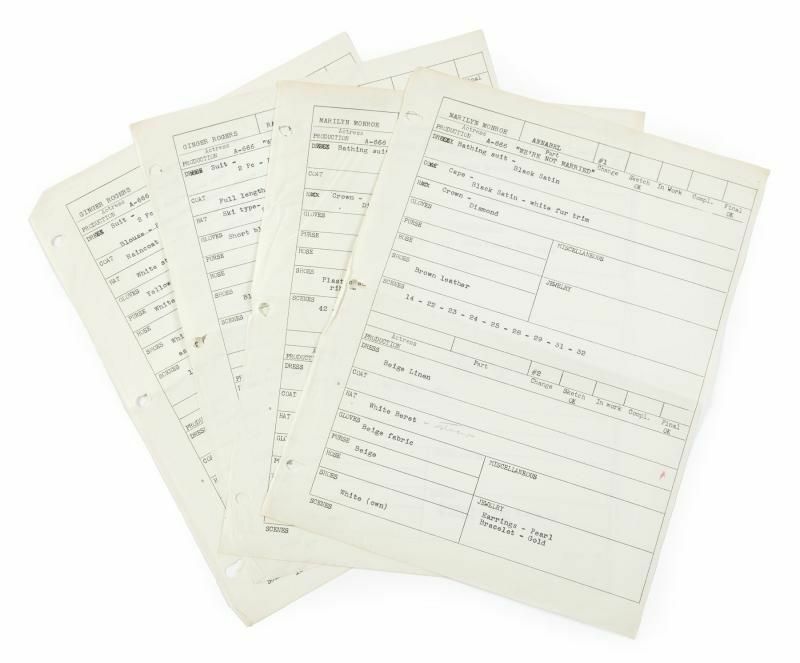 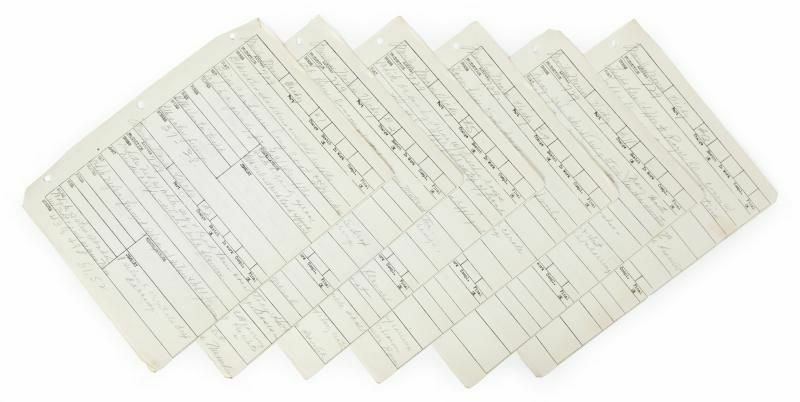 The typed sheets with some handwritten notations are for Monroe's character, Annabel (changes 1-4), and Rogers' character, Ramona (changes 1-3A). 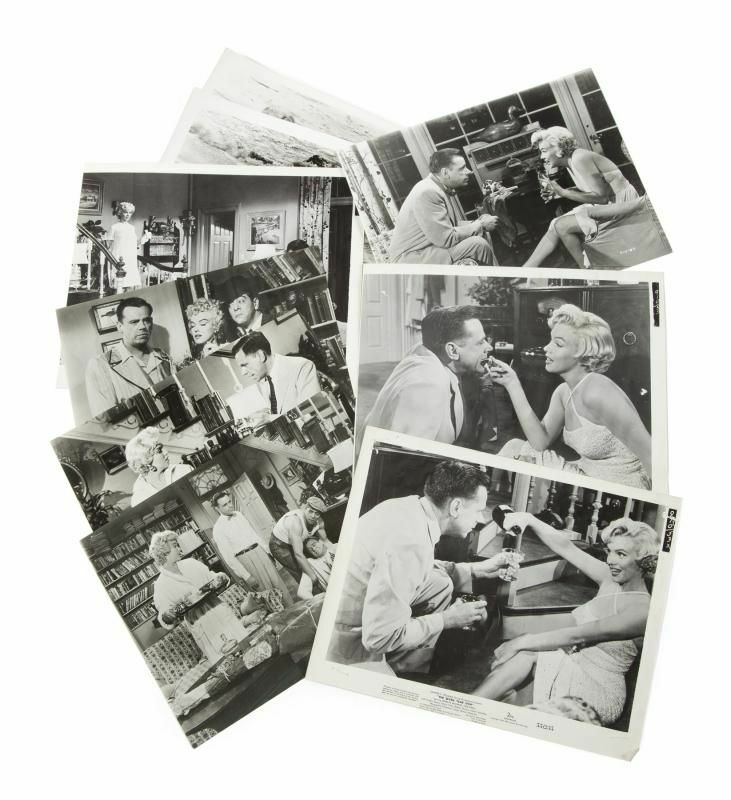 Accompanied by one black and white wardrobe photograph of Rogers in change 3 and eight black and white publicity images, including one of Monroe that has been cut down from its original size. 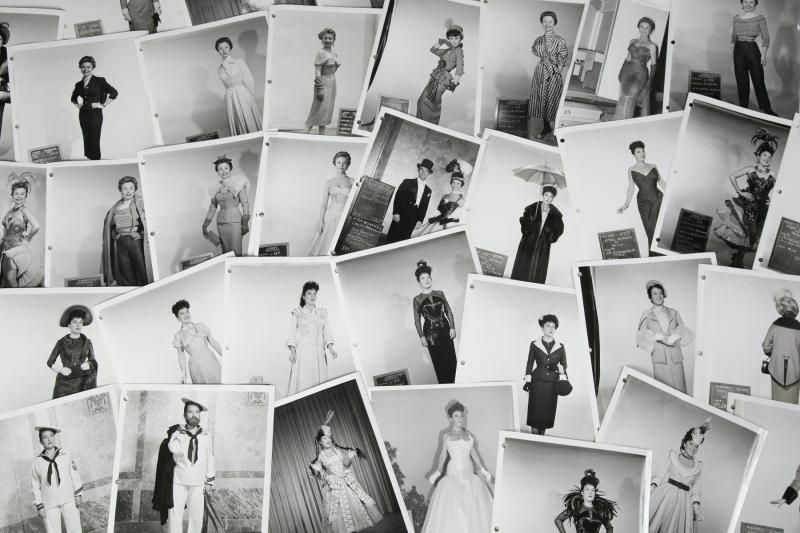 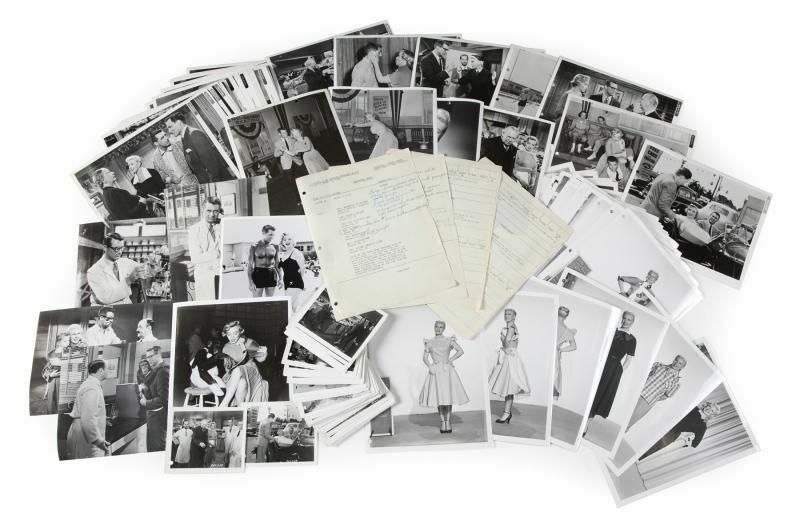 An archive of wardrobe sheets, photographs taken on set and publicity photographs from Niagara (20th Century, 1953). 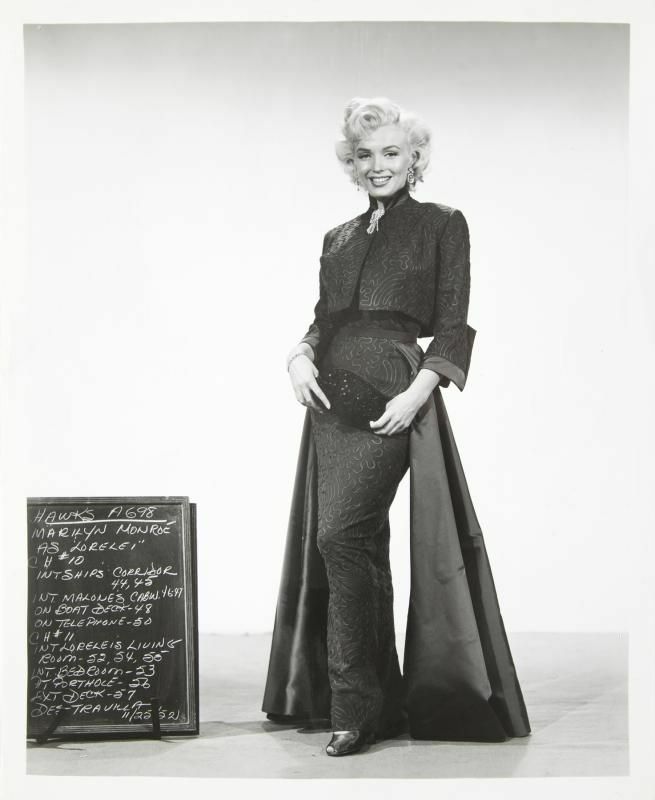 Including seven handwritten production wardrobe pages and matching typed pages for Marilyn Monroe's costuming in the film. 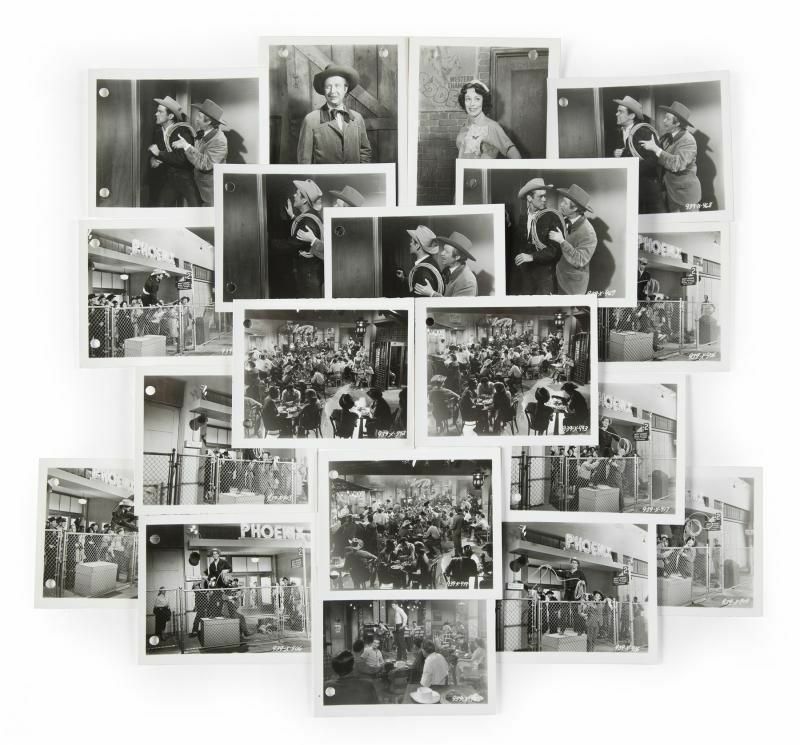 Approximately 65 black and white photographs intended for publicity or continuity including behind-the-scenes images and photographs marked for cropping. 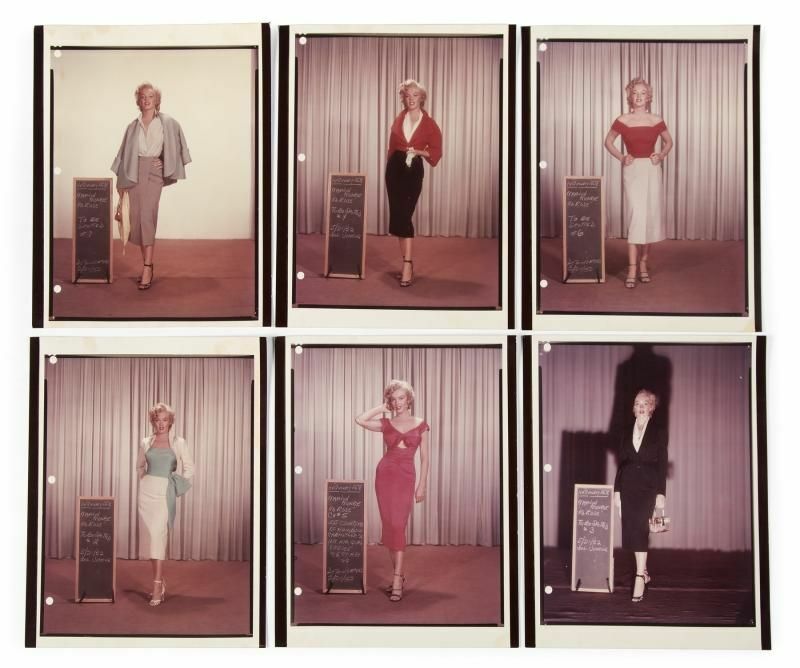 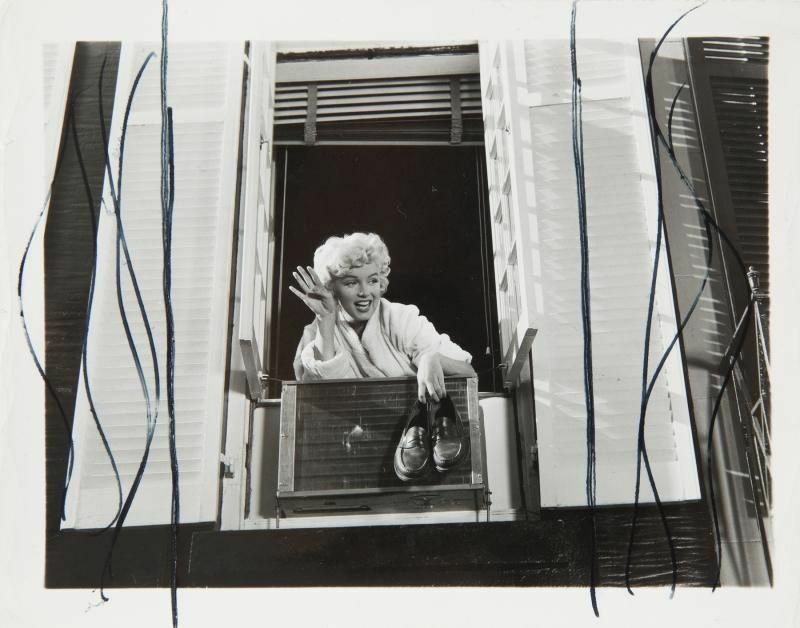 Six Marilyn Monroe wardrobe continuity photographs that appear to have been copied from a color transparency, approximately 13 black and white wardrobe continuity images. 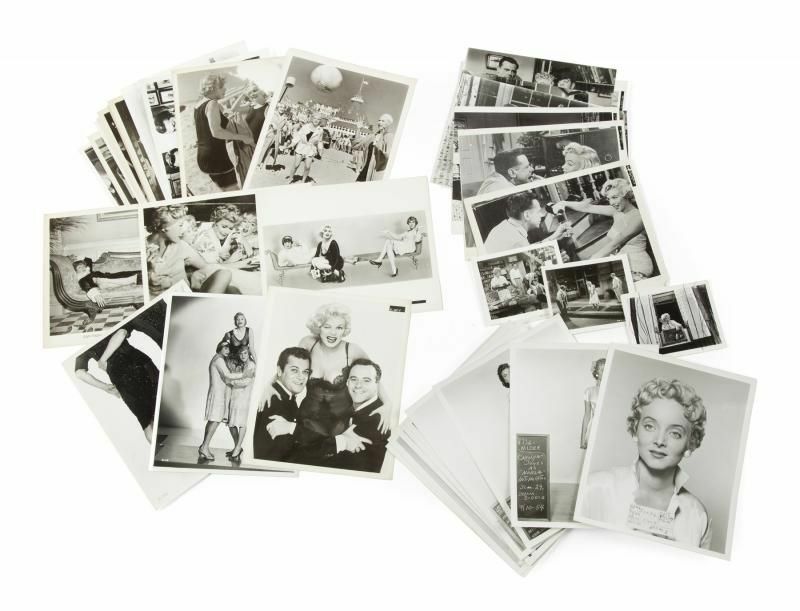 Approximately 64 black and white publicity images stamped on verso by the Advertising Code Administration including one noted for a retouch on an image of Jean Peters. 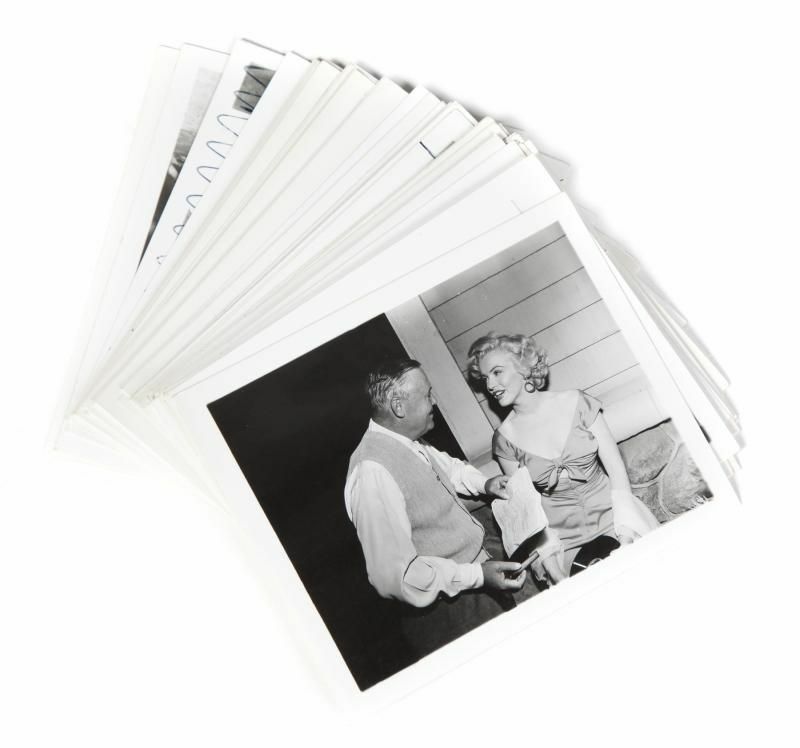 Also accompanied by approximately 17 other photographs and copies of photographs for an unknown use. 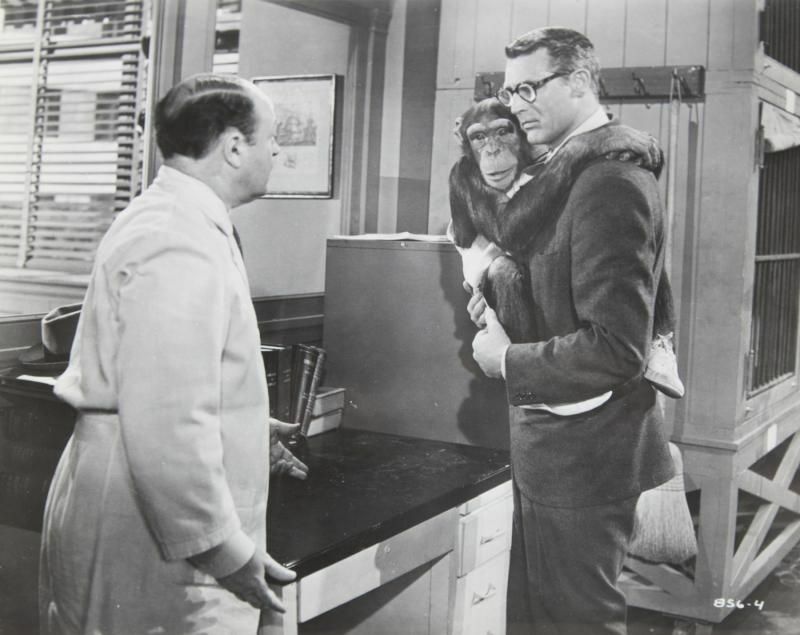 An archive of materials relating to the film Monkey Business (20th Century Fox, 1952). 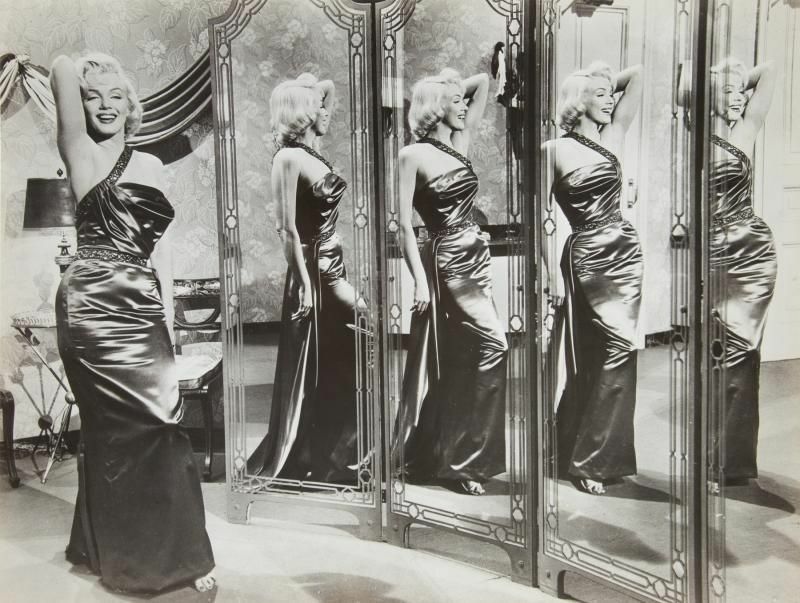 The collection includes four pages from a wardrobe plot book relating to Marilyn Monroe's character, Miss Lois Laurel. 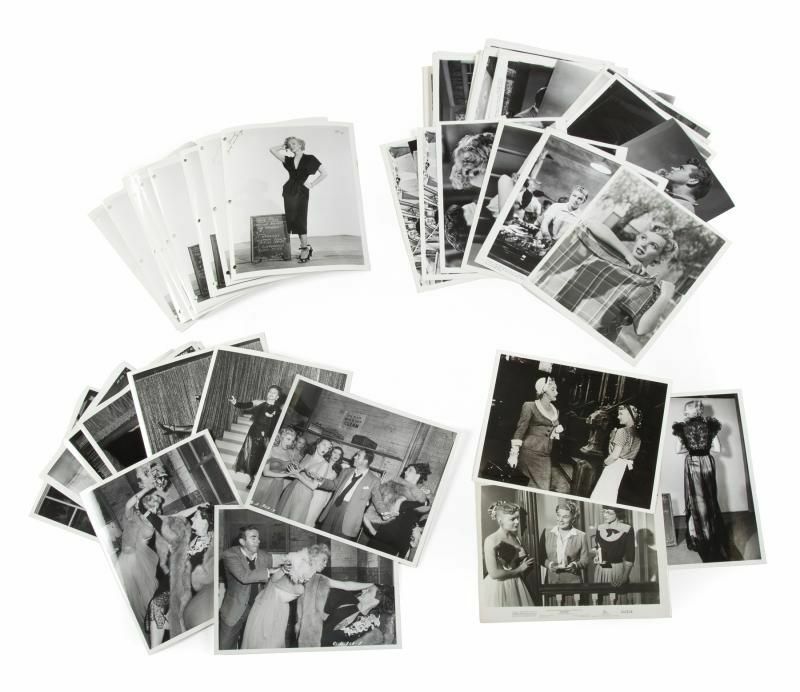 Approximately 30 wardrobe continuity photographs for Ginger Rogers, who played Mrs. Edwina Fulton in the film. 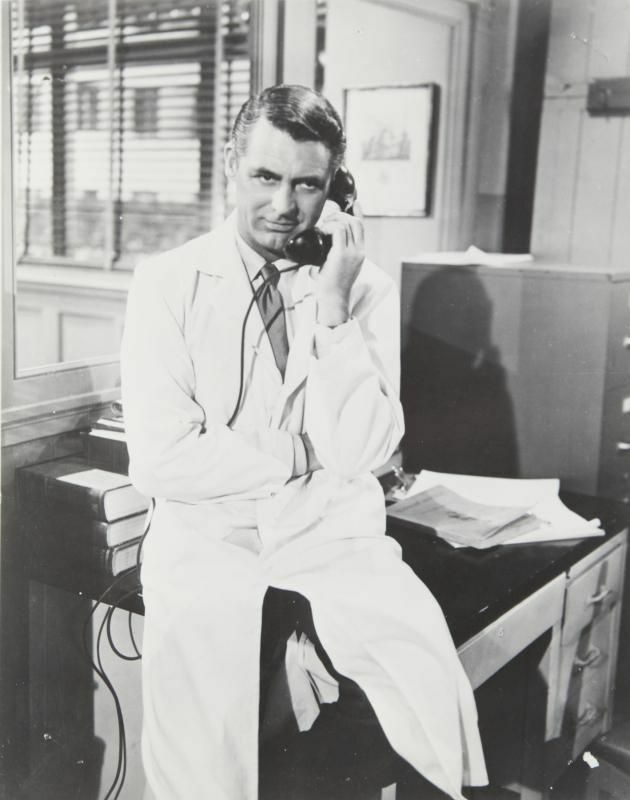 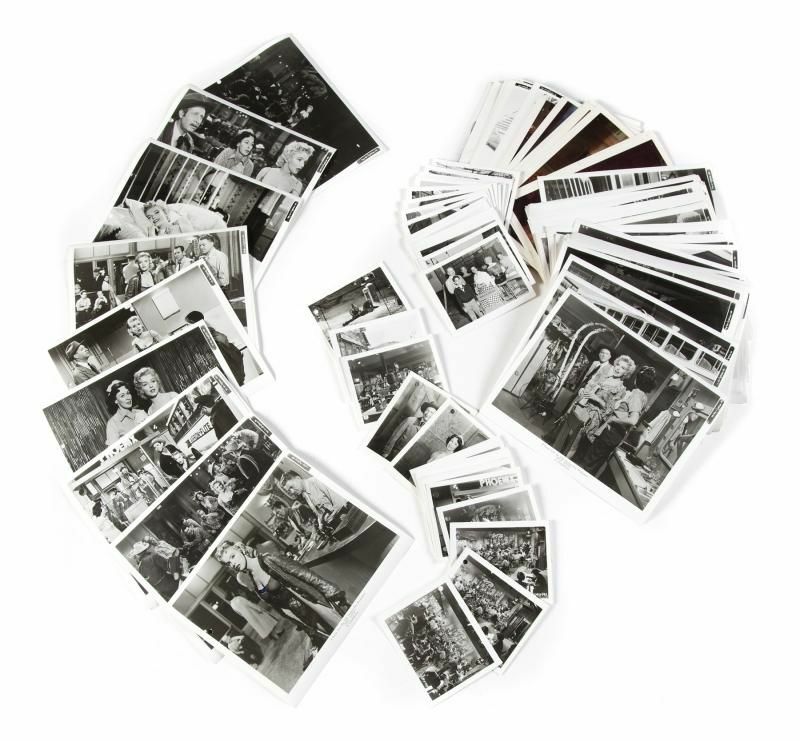 A group of approximately 93 black and white photographs that appear to be from a continuity key book. 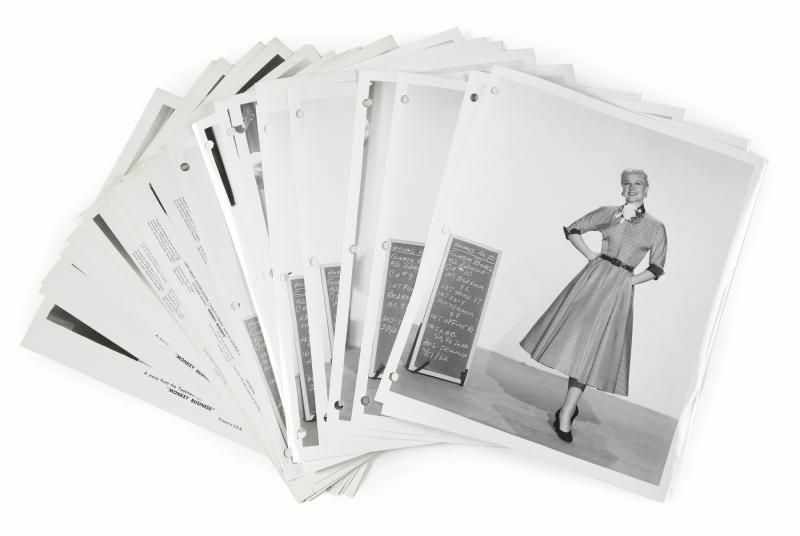 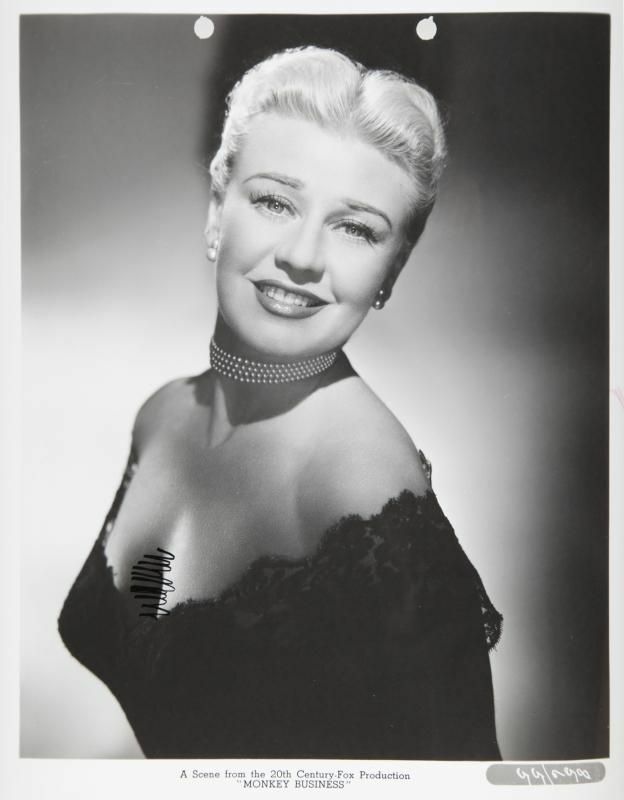 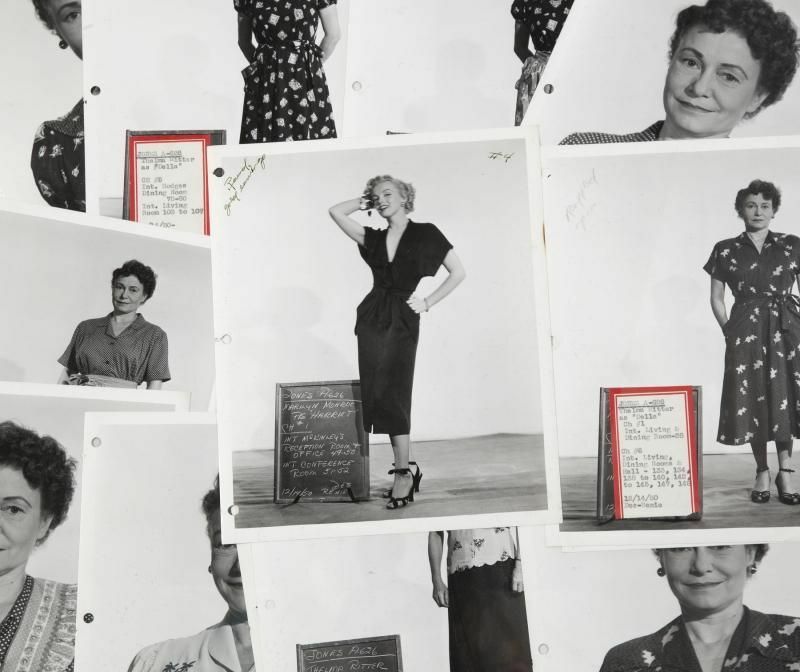 A group of approximately 53 publicity photographs stamped on verso by the Advertising Code Administration, including one photograph of Ginger Rogers marked for editing. 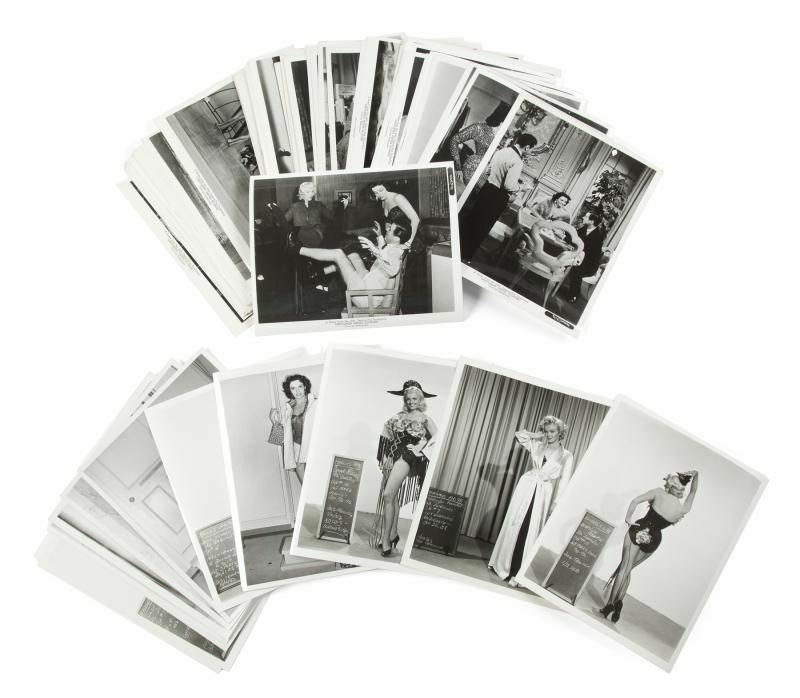 Approximately 14 publicity photographs, three blind stamped as being the property of N.S.S. 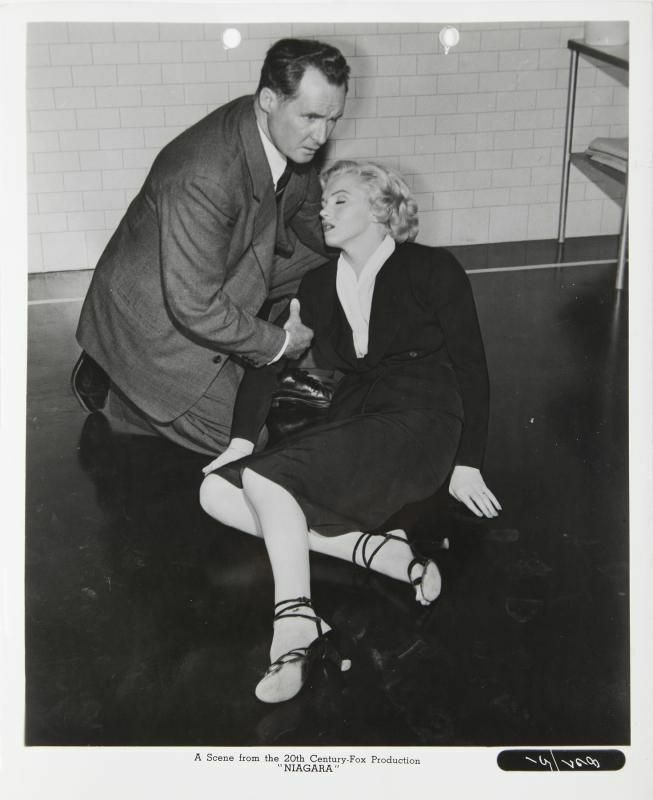 Corp. And six unmarked black and white photographs for publicity or other purposes. 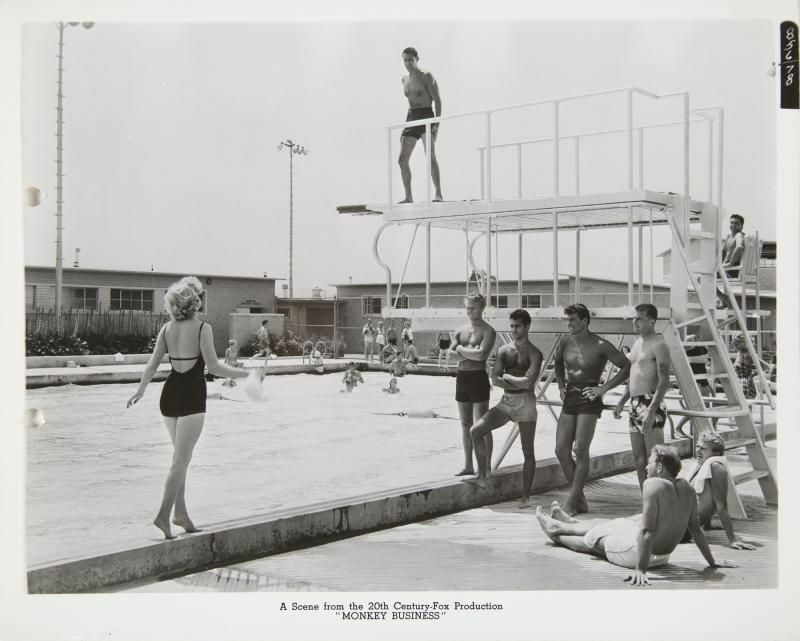 A Gentlemen Prefer Blondes (20th Century Fox, 1953) archive of publicity images and wardrobe photographs. 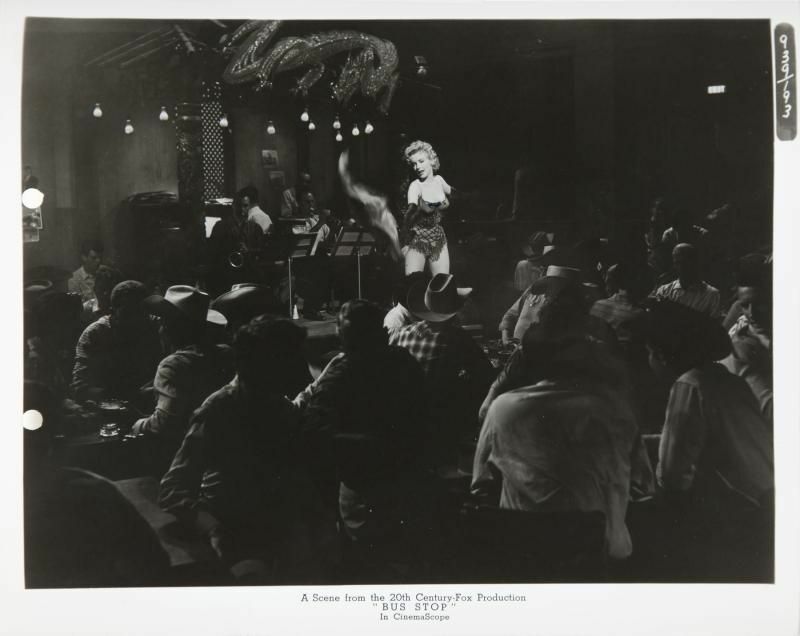 Includes three Marilyn Monroe wardrobe continuity photographs; 11 Jane Russell wardrobe continuity photographs; four wardrobe continuity photographs for other female cast members; approximately 100 black and white production stills stamped on verso by the Advertising Code Administration of Hollywood; two Jane Russell images marked to be retouched for showing too much cleavage; and 12 original and reproduction publicity stills, including an image of Monroe and Russell on stage accompanied by the negative. 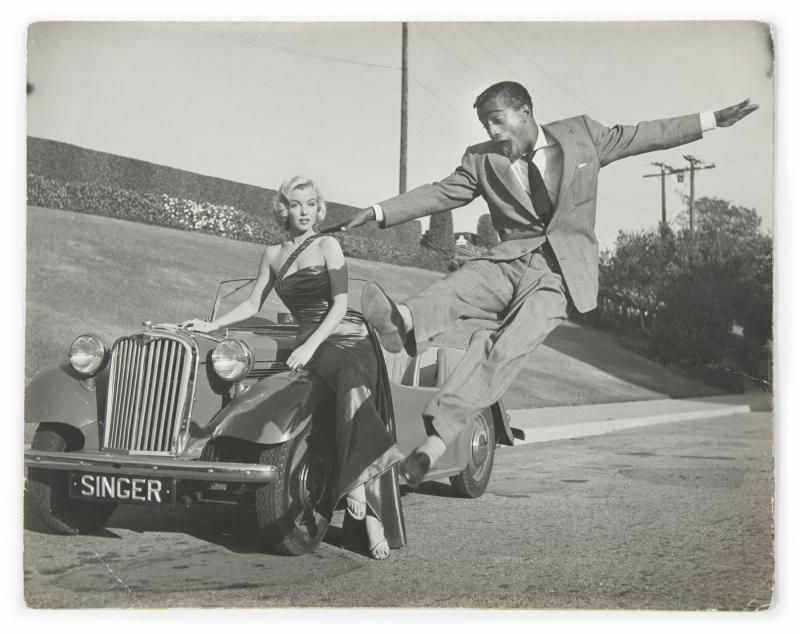 A black and white photograph of Marilyn Monroe and Sammy Davis Jr. on the set of How To Marry A Millionaire (20th Century Fox, 1953), taken by Frank Worth circa 1953. 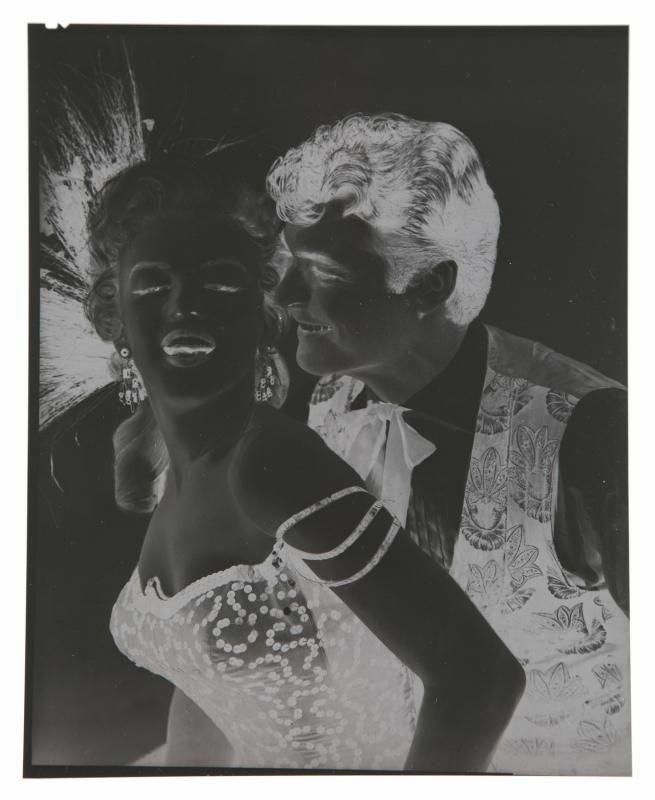 Vintage gelatin silver print. 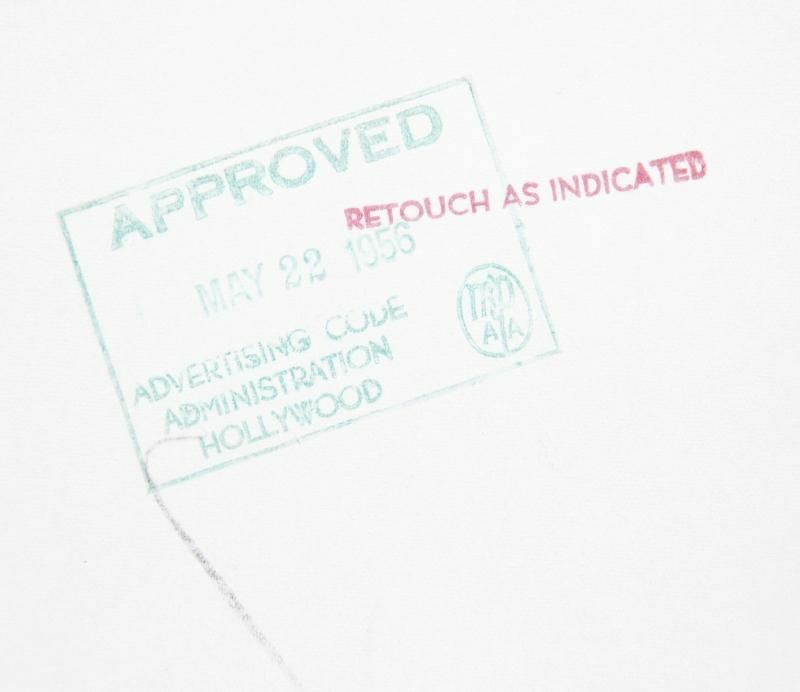 Signed (faintly) lower right. 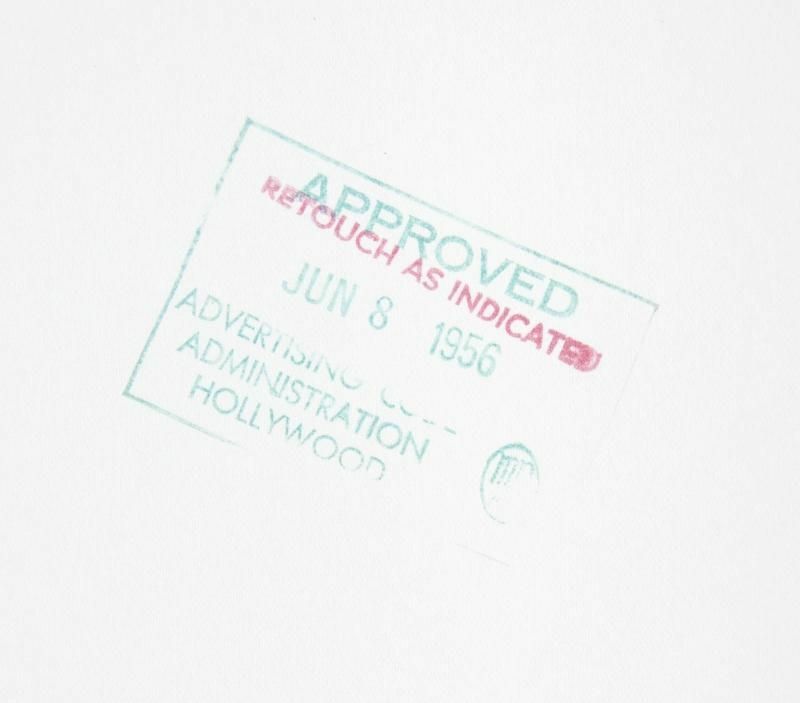 Mounted to a photograph of Audie Murphy on the verso. 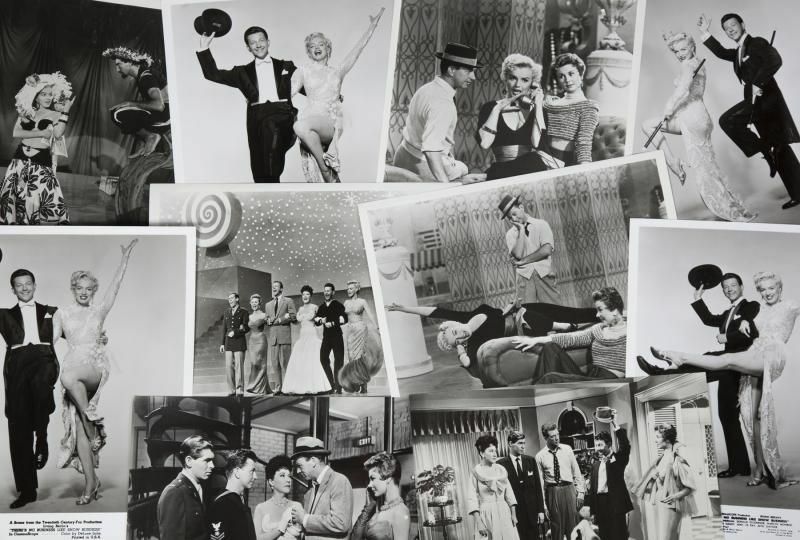 A collection of approximately 19 black and white publicity stills from the film How To Marry A Millionaire (20th Century Fox, 1953) and one . 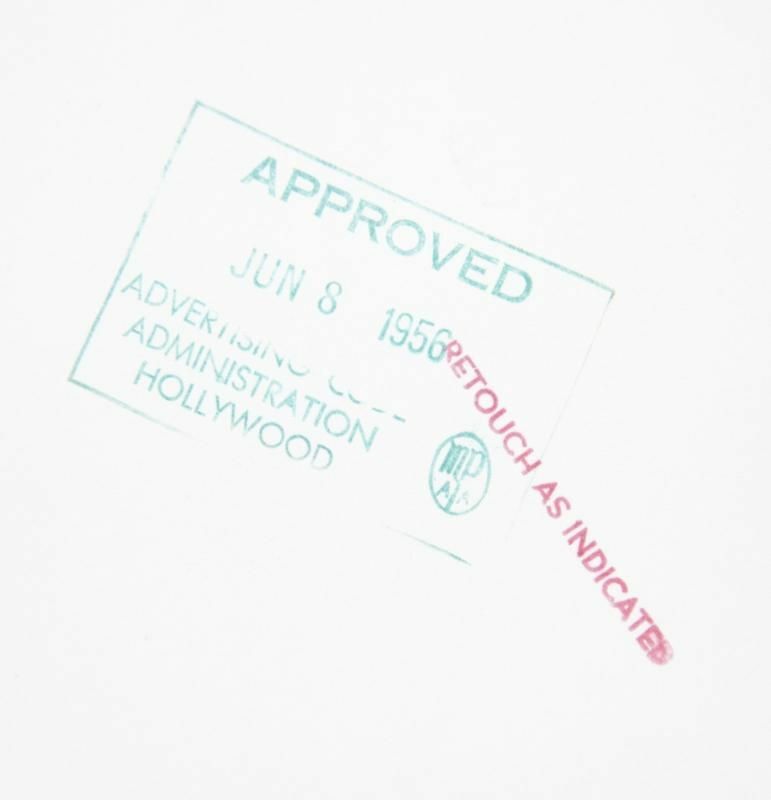 Including 15 images that have been stamped "Approved" by the Advertising Code Administration. 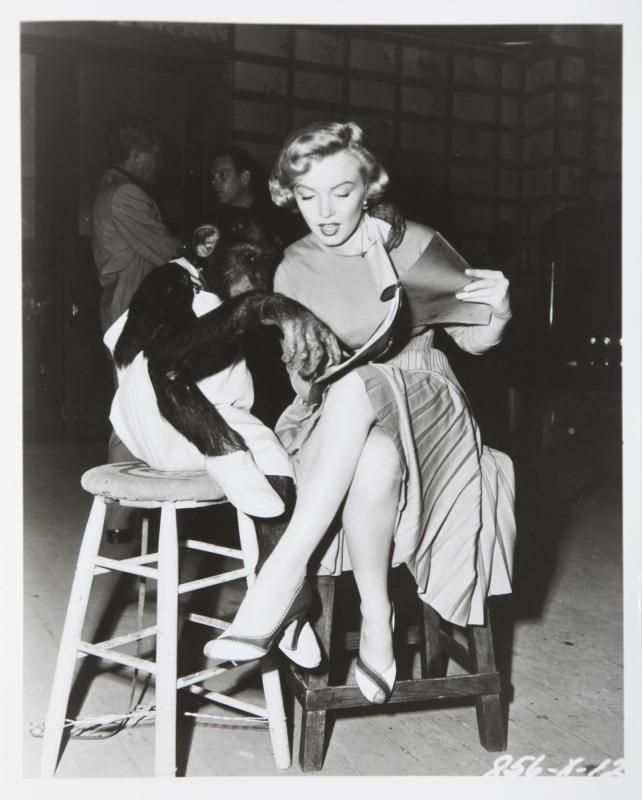 A black and white photograph of Marilyn Monroe during the filming of How To Marry A Millionaire (20th Century Fox, 1953). 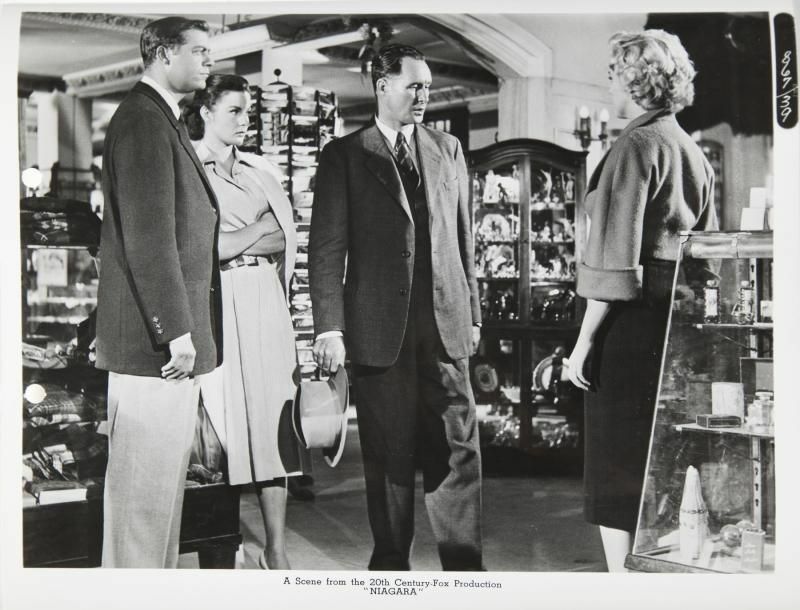 A collection of production and publicity items relating to River of No Return (20th Century, 1954). 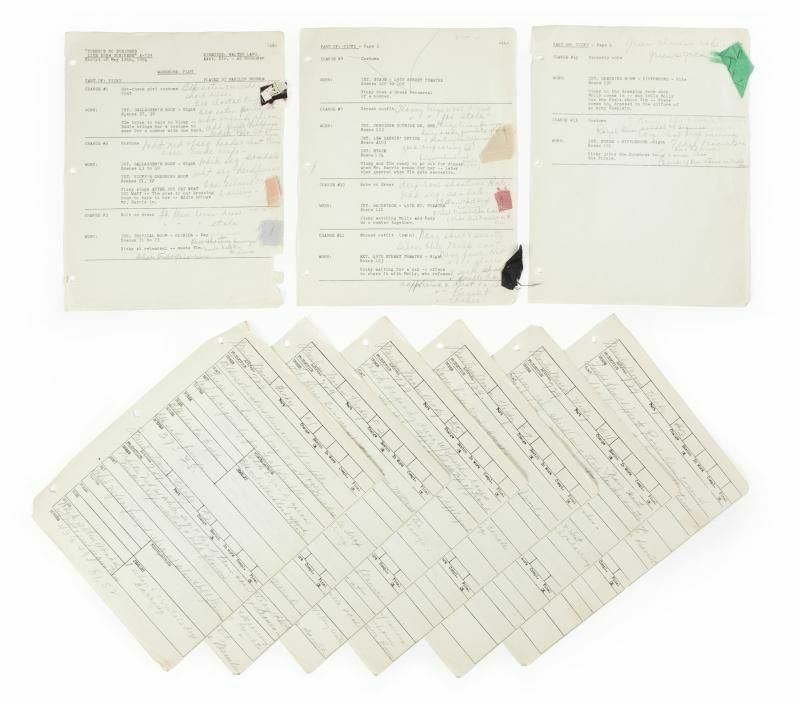 The lot includes two pages of typed studio wardrobe costume sheets for Marilyn Monroe's costumes covering changes 1, 2 and 3 with information on accessories and under clothing. 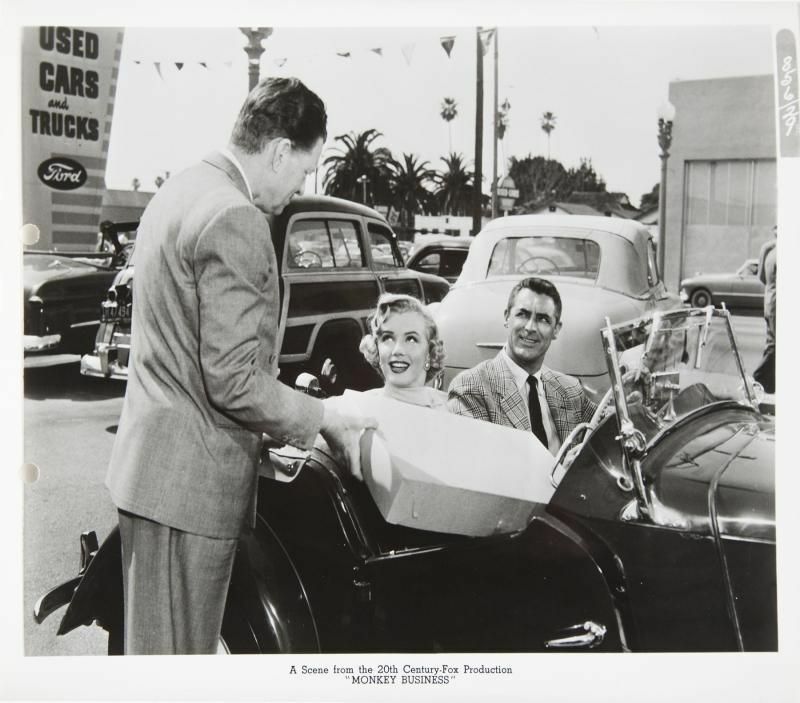 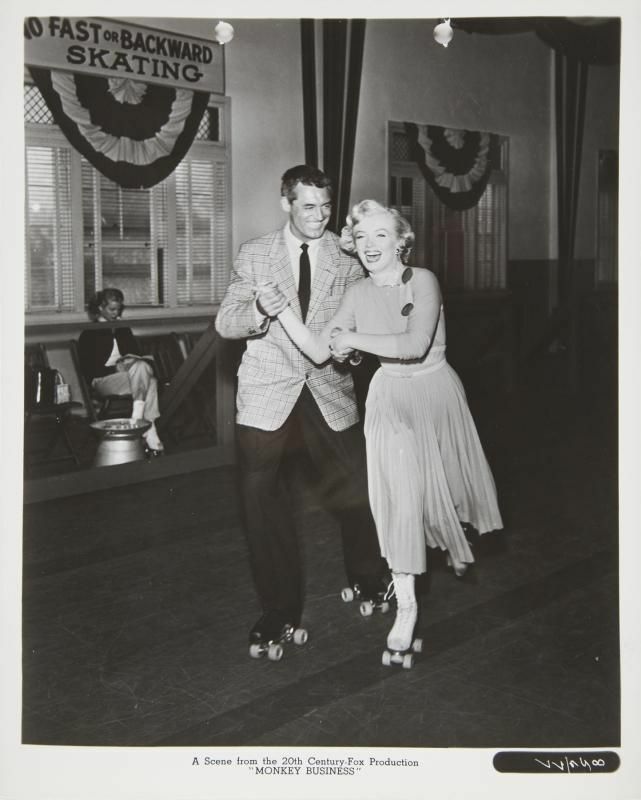 A large copy negative from a publicity photograph of Monroe with co-star Rory Calhoun and three prints of the photograph. 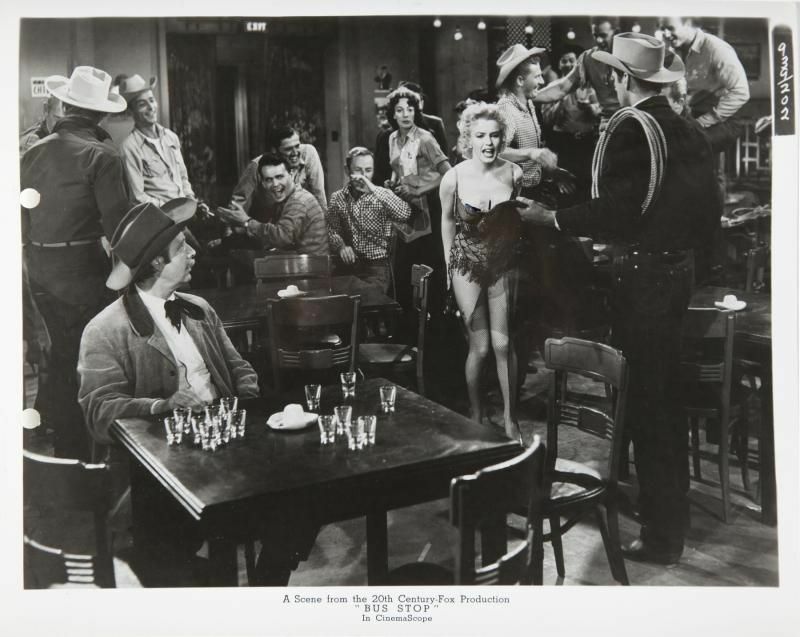 A black and white original publicity photograph of Monroe in one of her saloon costumes. 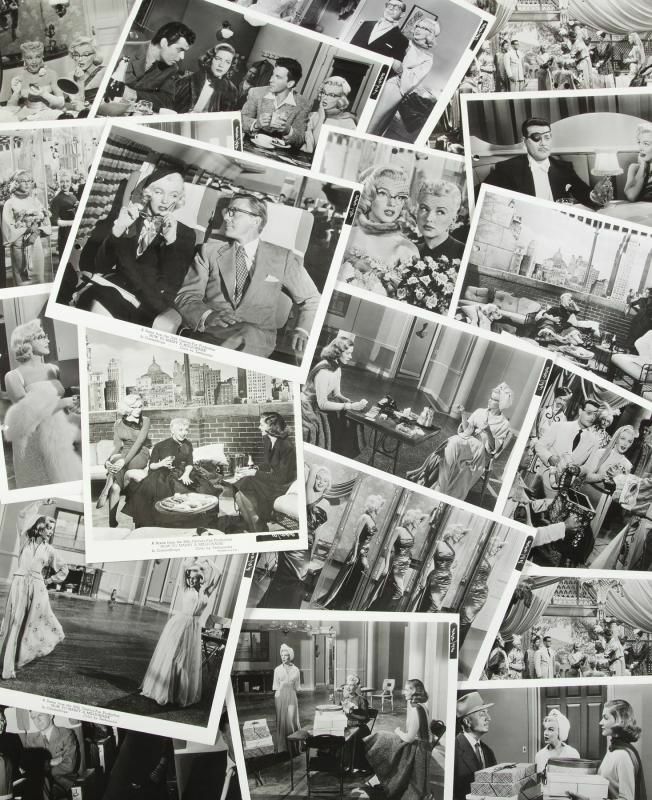 And approximately 19 black and white publicity stills from the film. 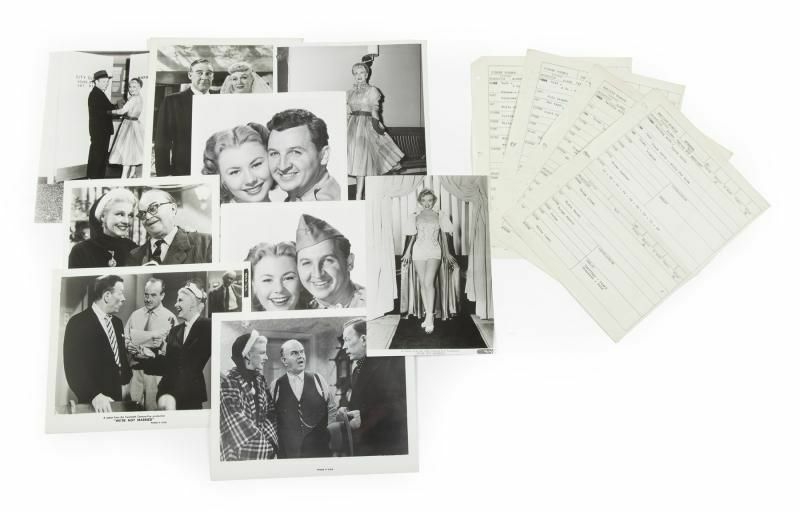 An archive of wardrobe plot book pages, key book photographs, and publicity photographs from the film There's No Business Like Show Business (20th Century, 1954). 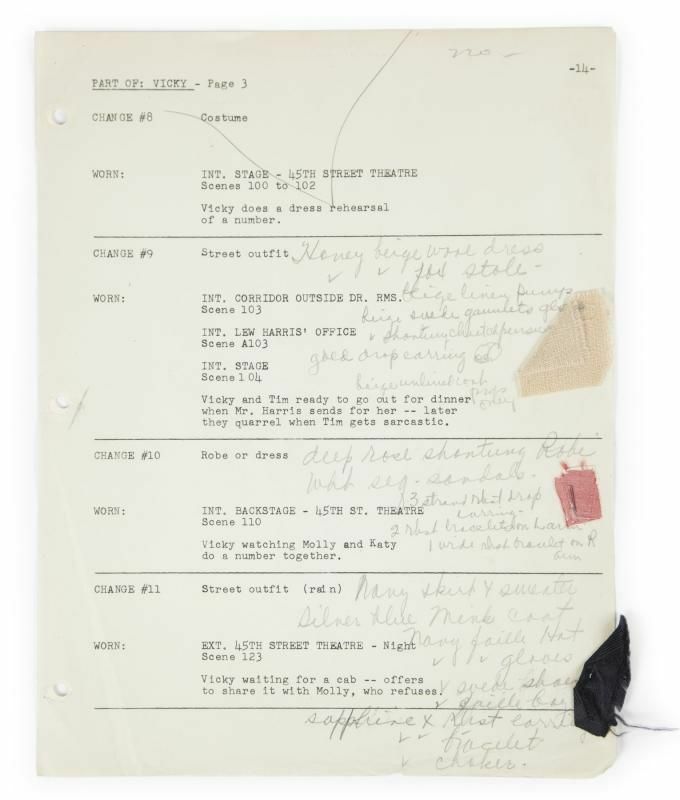 The collection includes nine pages from the wardrobe plot book for Marilyn Monroe's character in the film, Vicky Parker. 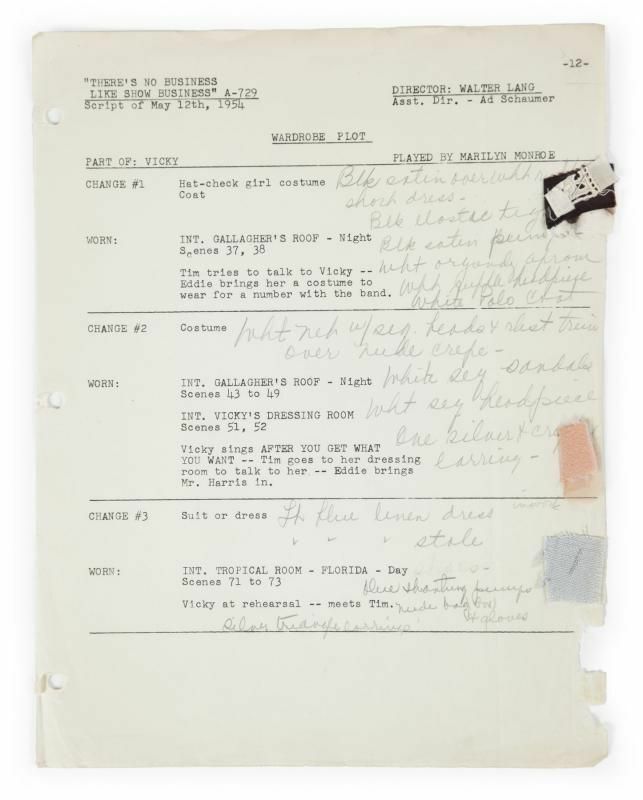 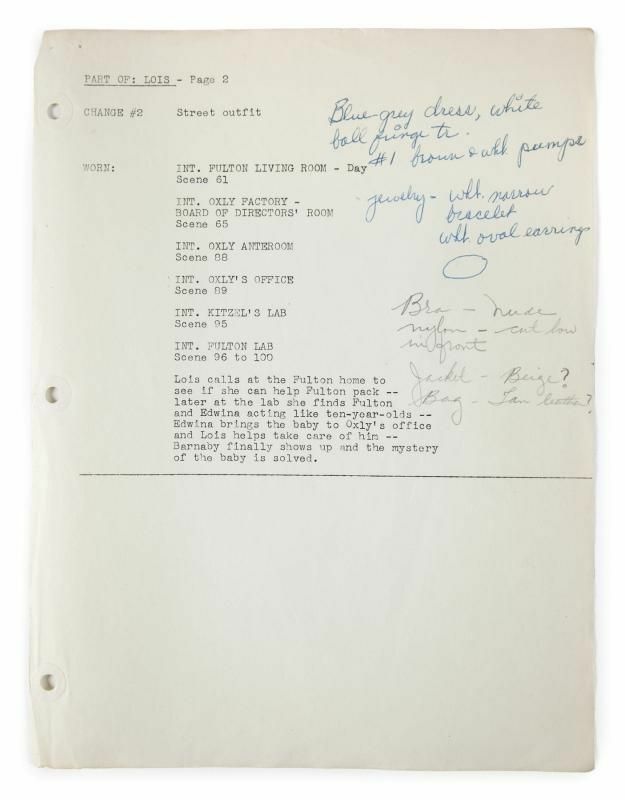 The typed and handwritten pages include fabric swatches, scene information and list of accessories worn by Monroe with the costumes. 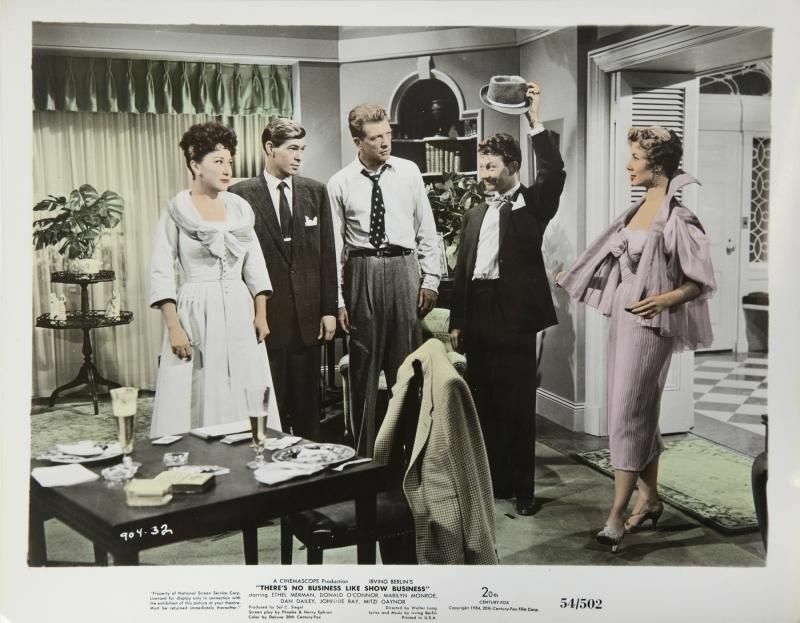 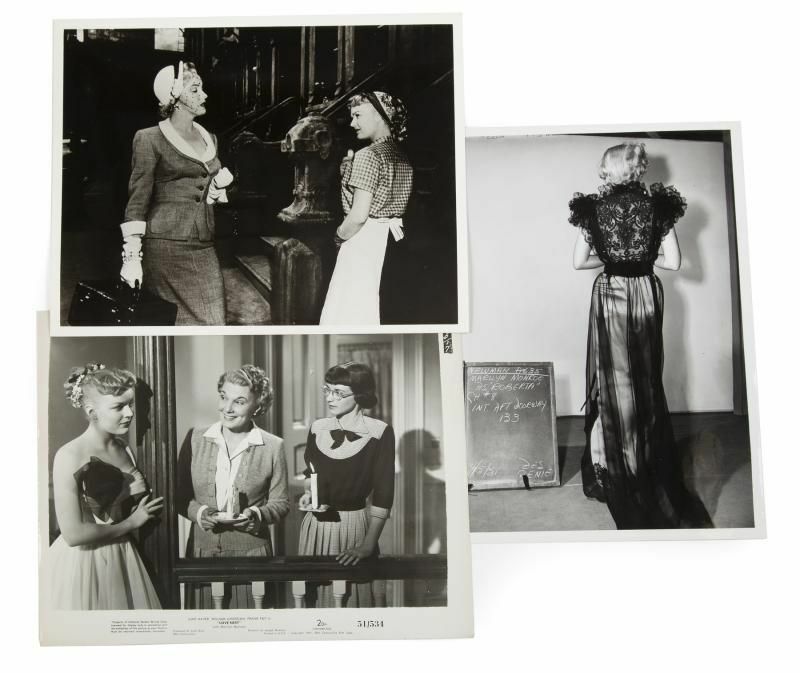 Eight wardrobe continuity photographs appear to be from a key book: four for Ethel Merman, three for Mitzi Gaynor and one for an unknown woman. 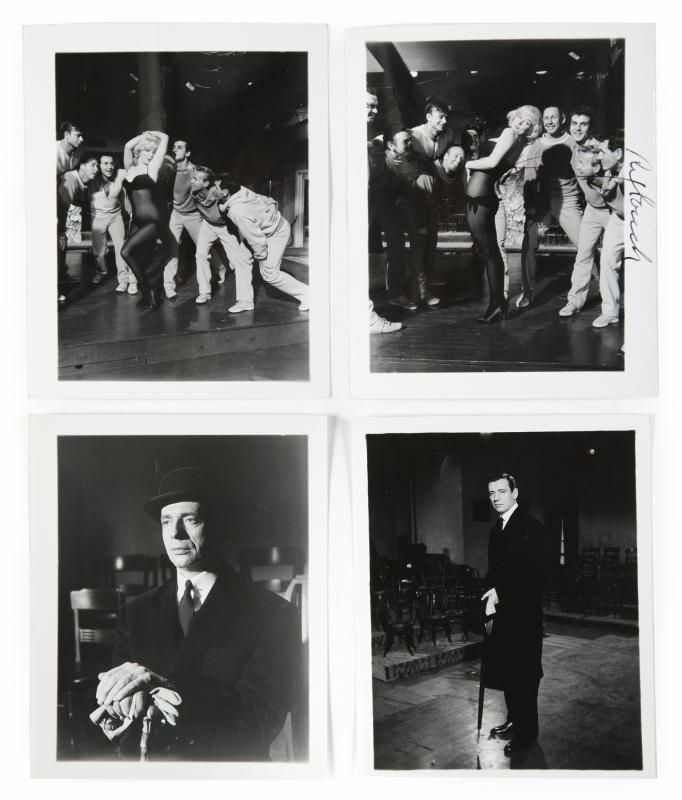 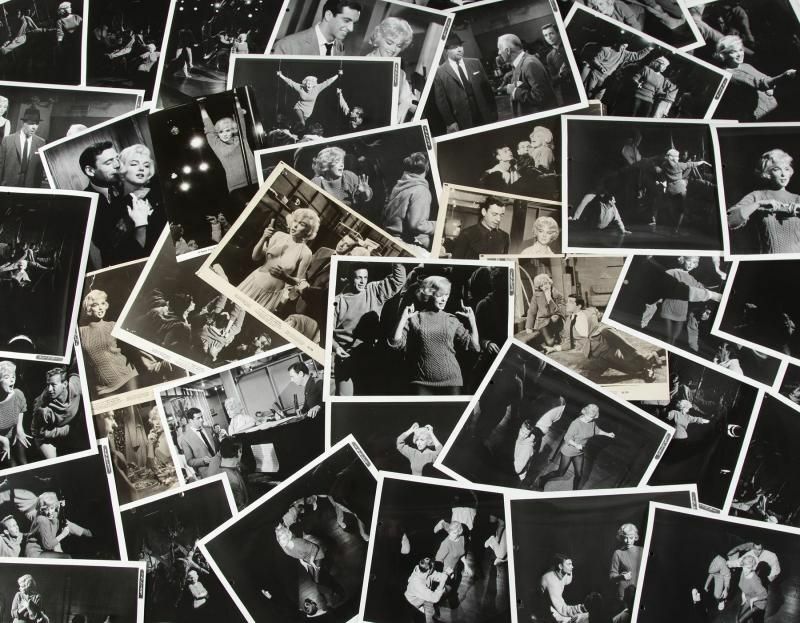 Approximately 29 black and white photographs are believed to be from a key book with two hole punches at the top of each, six with Monroe and Donald O'Connor. 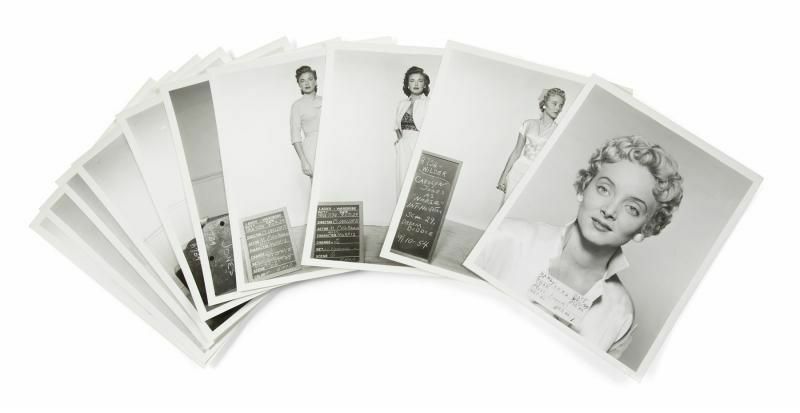 A collection of 15 publicity photographs with studio markings, including four with scenes of Monroe. 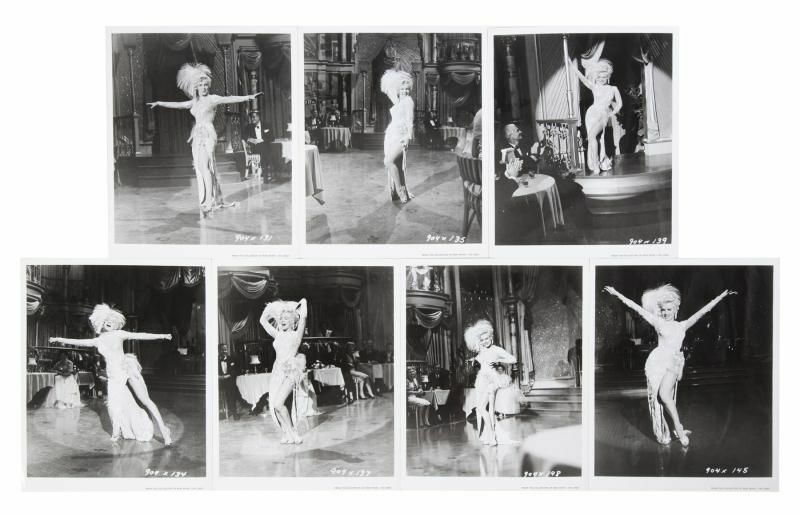 Seven images of Monroe performing in the film from the collection of John Wind. 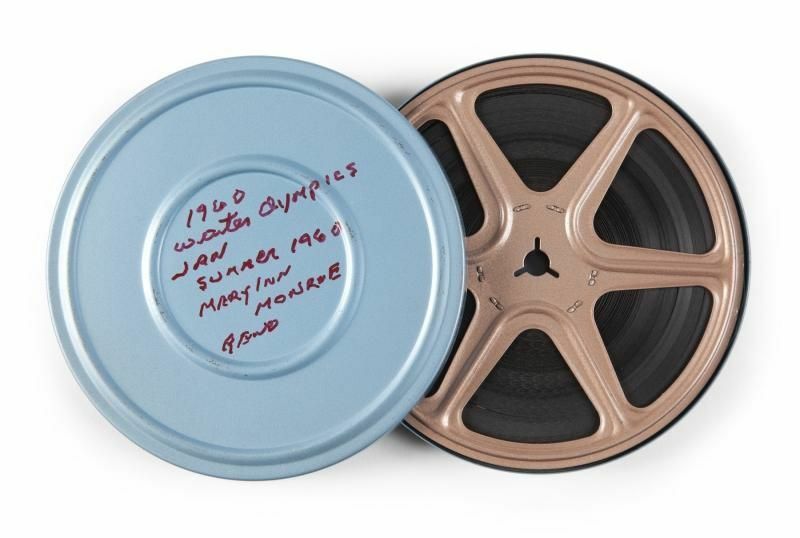 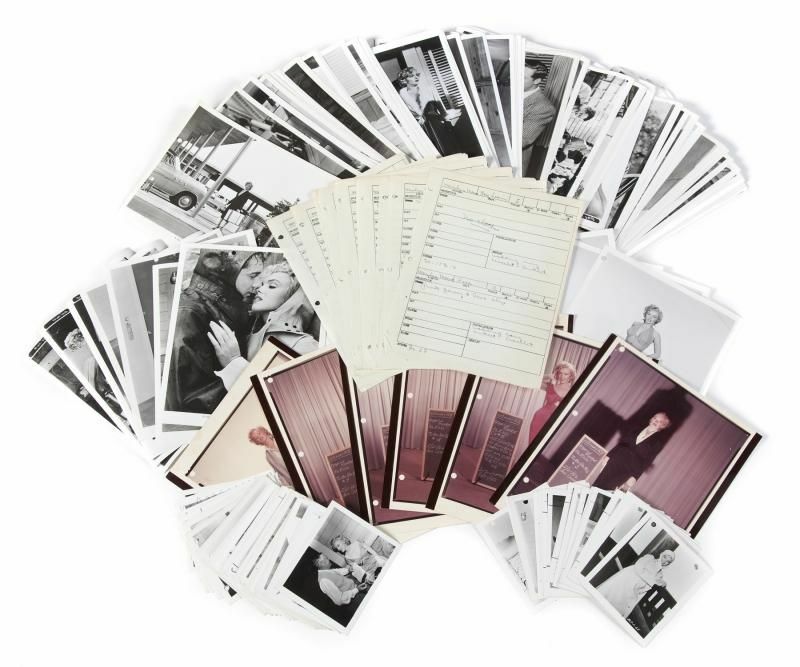 Twelve copies of studio publicity stills and other stills from the film, most showing Marilyn Monroe. 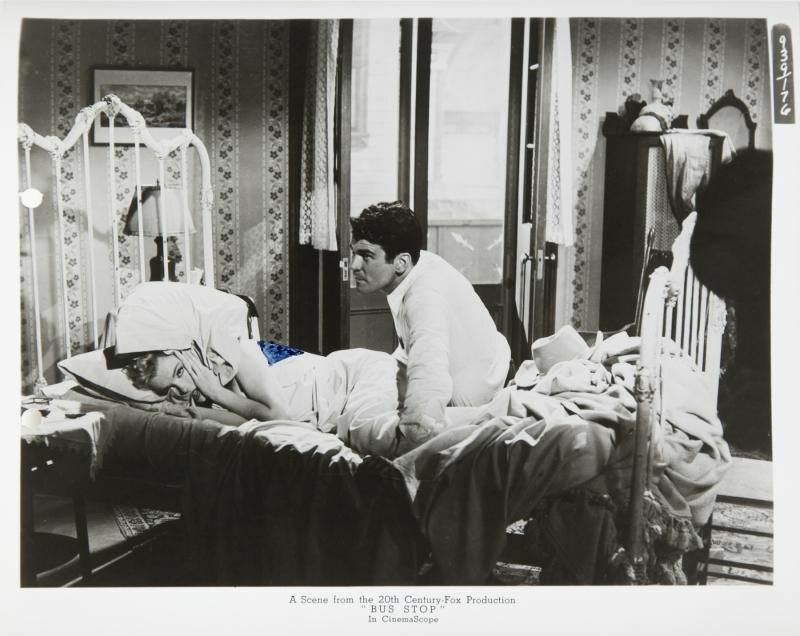 And one colorized still. 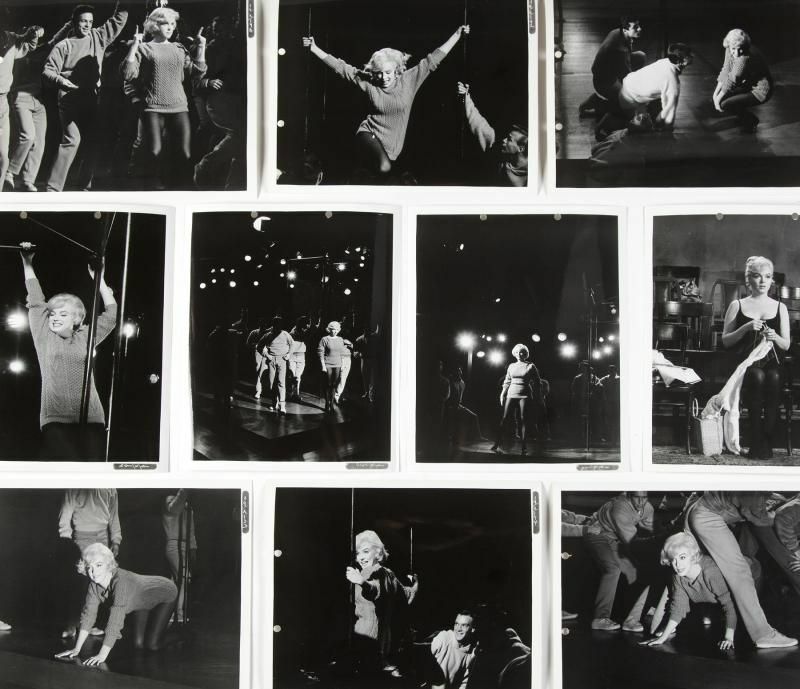 Publicity stills from two of Marilyn Monroe's films, The Prince and the Showgirl (Warner Bros., 1957) and The Misfits (Seven Arts, 1961). 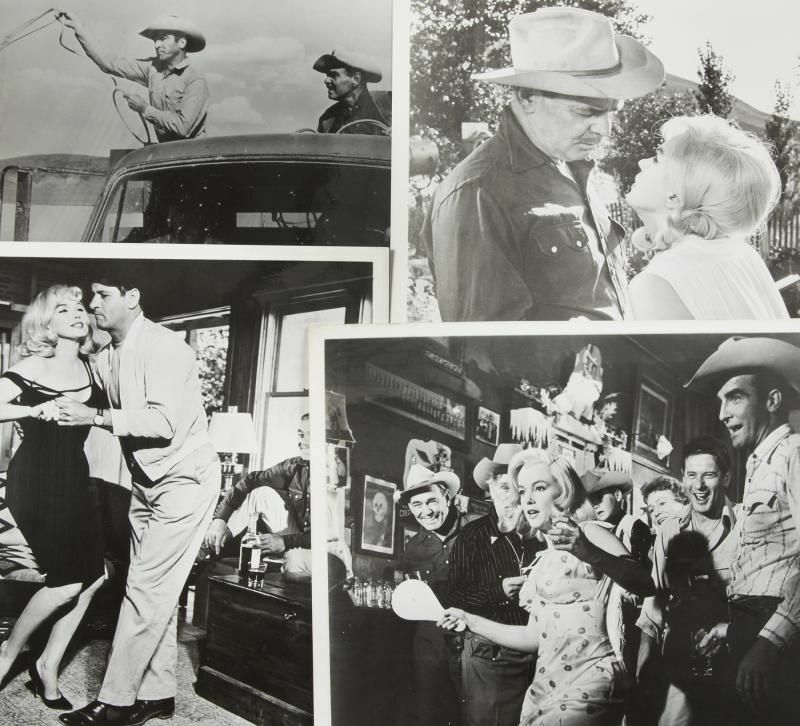 The Misfits archive contains three black and white original publicity stills and one black and white scene still reproduction image. 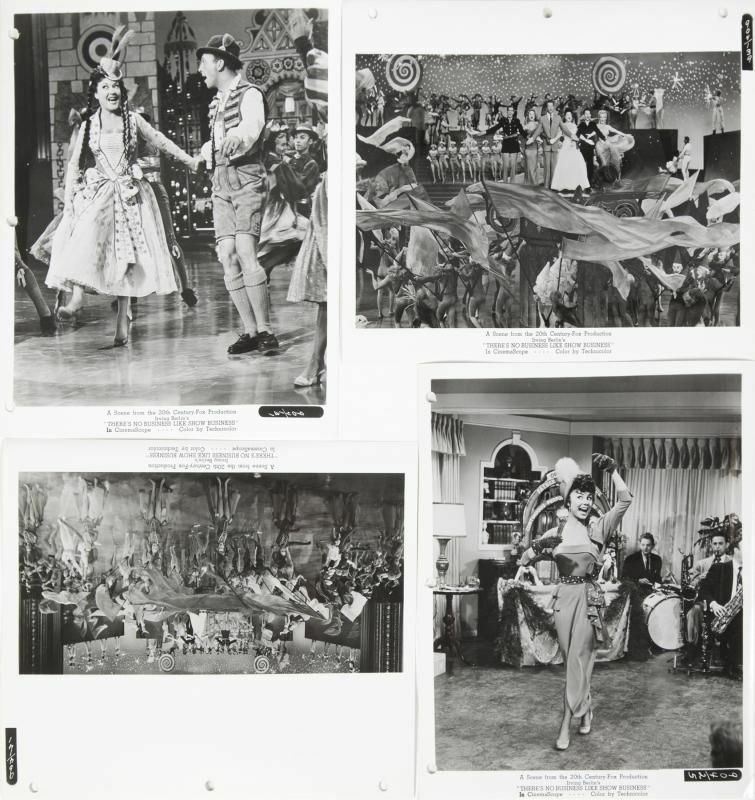 The Prince and the Showgirl archive contains six color lobby card (8 by 10 inches) images, seven original black and white promotional images, six black and white scene still reproduction images, and one color scene still reproduction image. 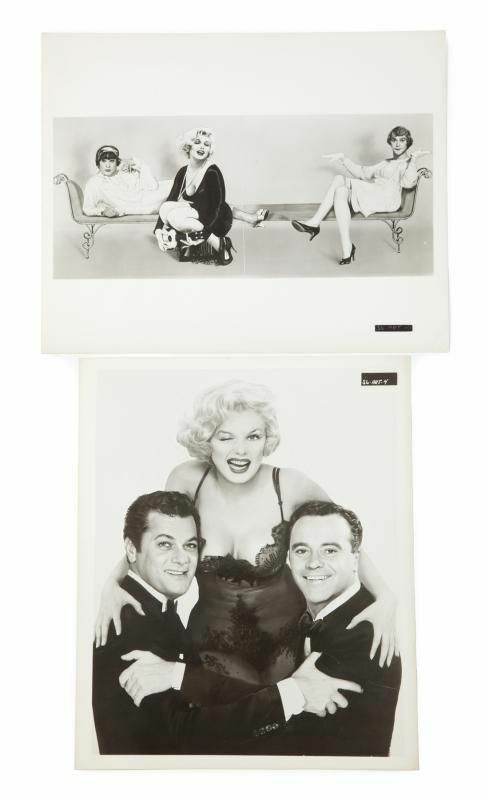 Two groups of publicity photo stills, one from the film The Seven Year Itch (20th Century, 1955) and one from Some Like It Hot (UA, 1959). 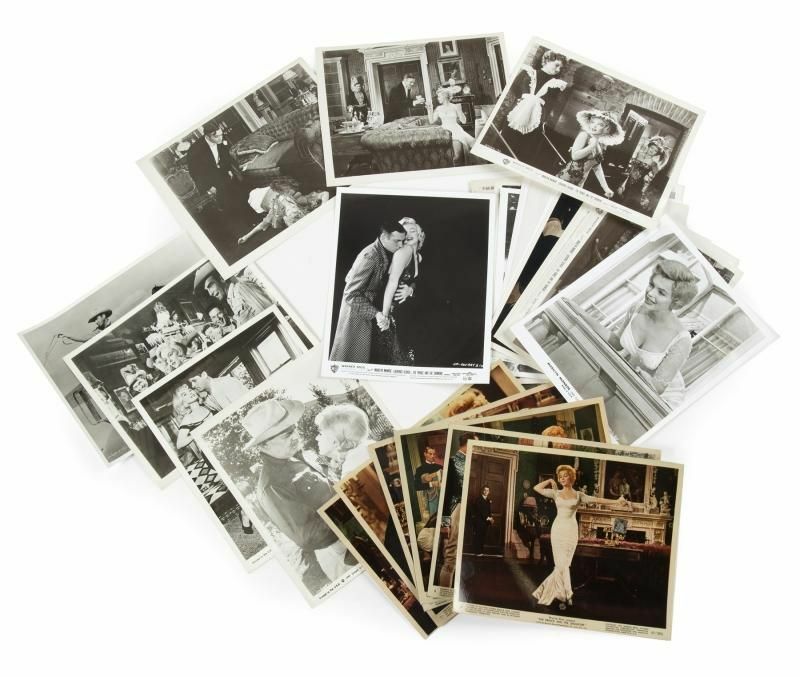 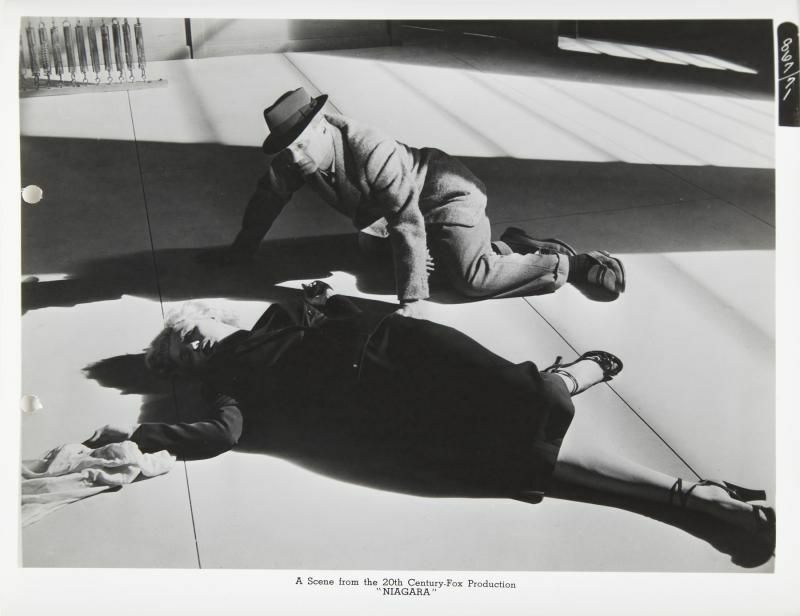 The Seven Year Itch archive includes three small black and white photographs shot on set; nine black and white images that are a mixture of publicity stills released to theatres and stills for unknown use; and 10 wardrobe continuity images for actresses Carolyn Jones and Marguerite Chapman. 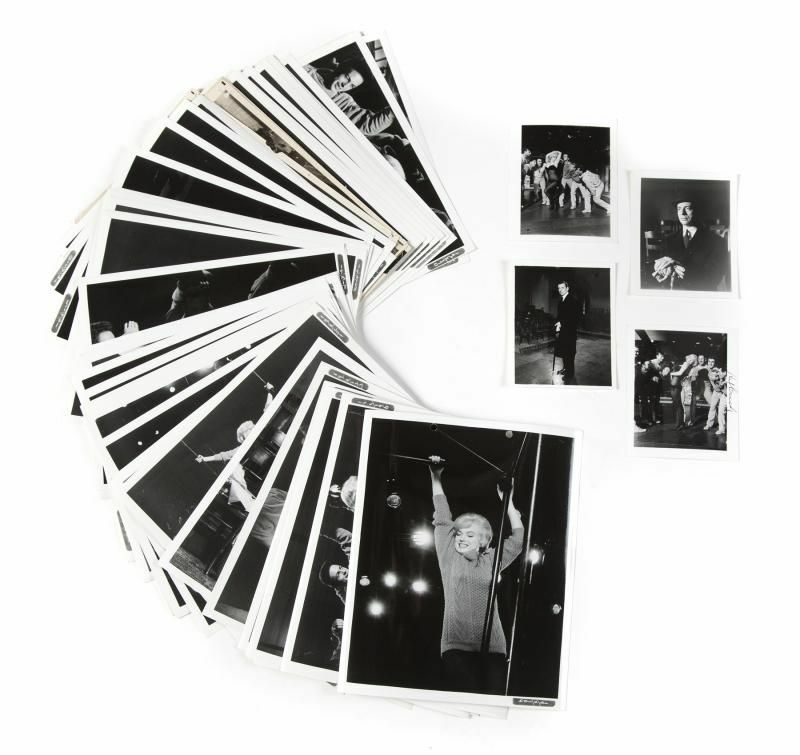 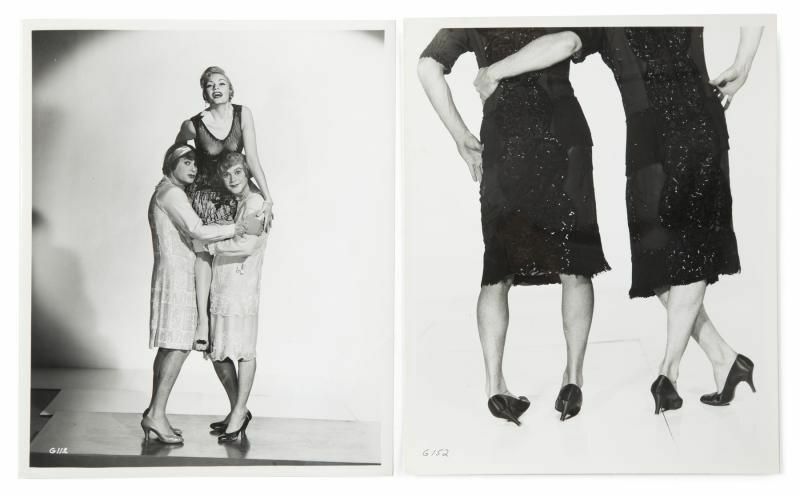 The Some Like It Hot archive includes two black and white images stamped "Photo by Coburn" on verso; two poster artwork images; and 15 black and white publicity images distributed by the studio for reproduction in newspapers and magazines. 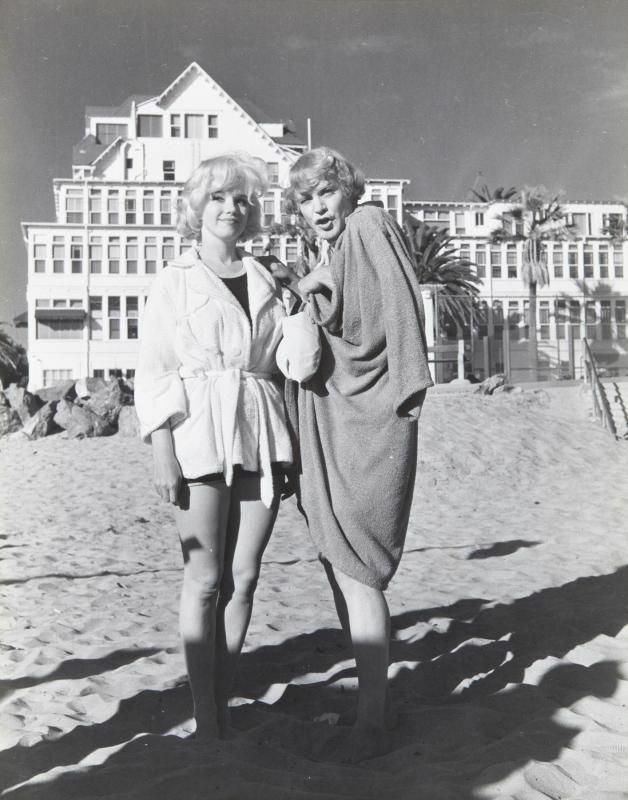 A black and white photograph of Marilyn Monroe and Jack Lemmon on the beach filming Some Like It Hot (United Artists, 1959). 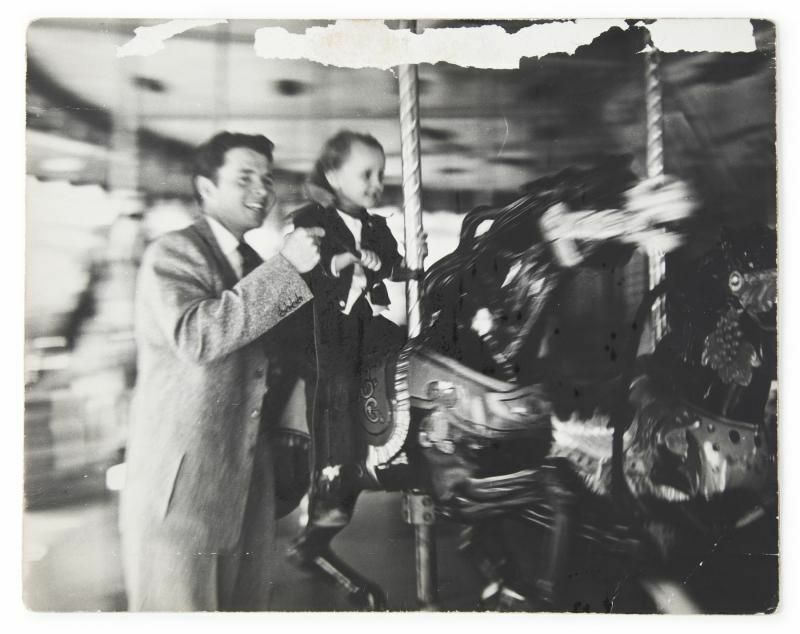 Gelatin silver print, printed later. 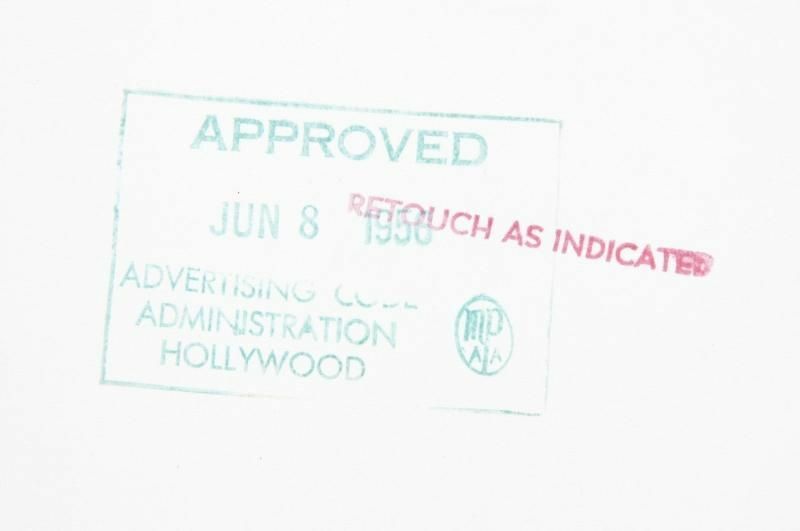 Stamp on verso marked "Silver Screen." 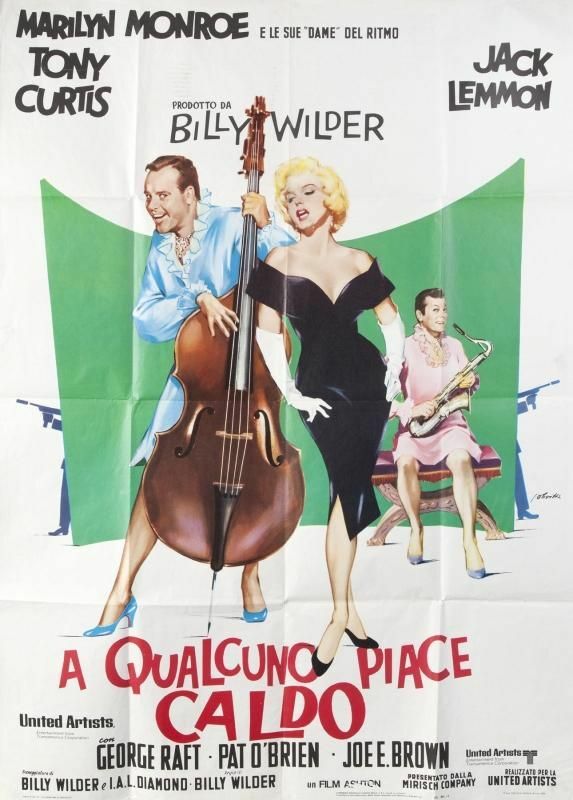 A Some Like It Hot (UA, 1959) Italian 1970s re-release one-sheet movie poster, fully folded. 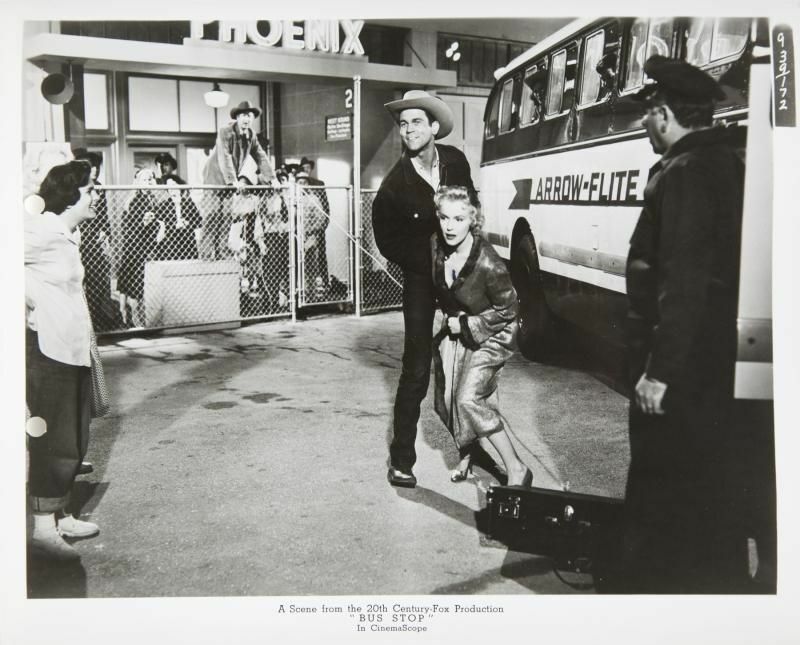 An archive of continuity and publicity photographs for the film Bus Stop (20th Century, 1956). 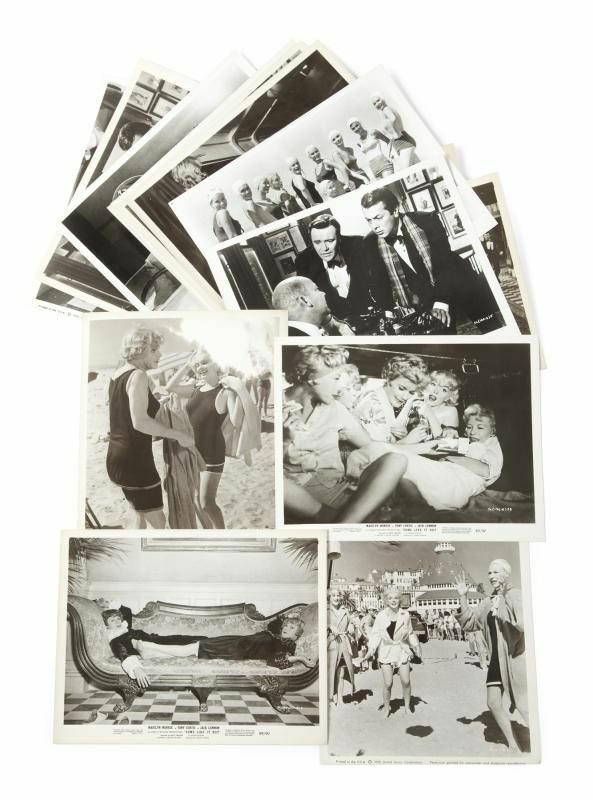 The collection includes approximately 100 publicity photographs stamped on verso by the Advertising Code Administration. 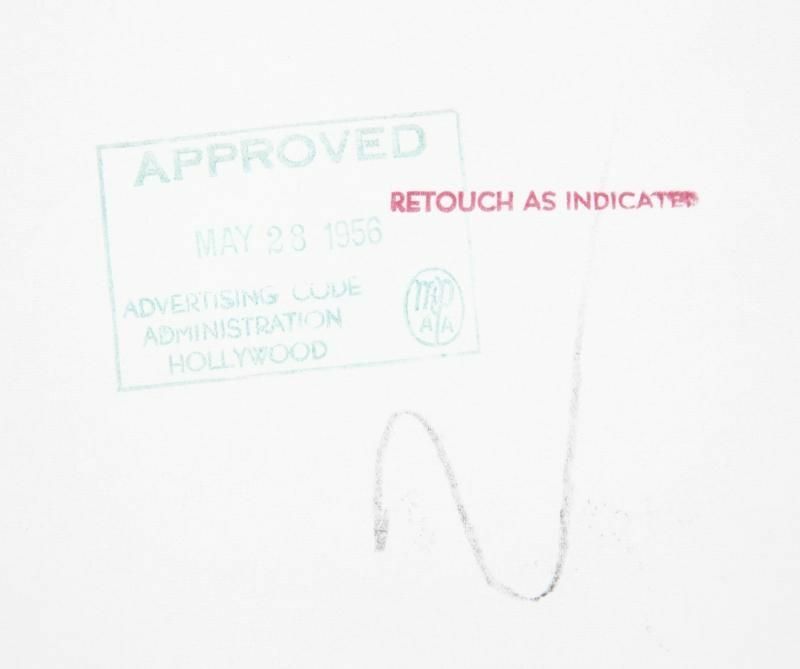 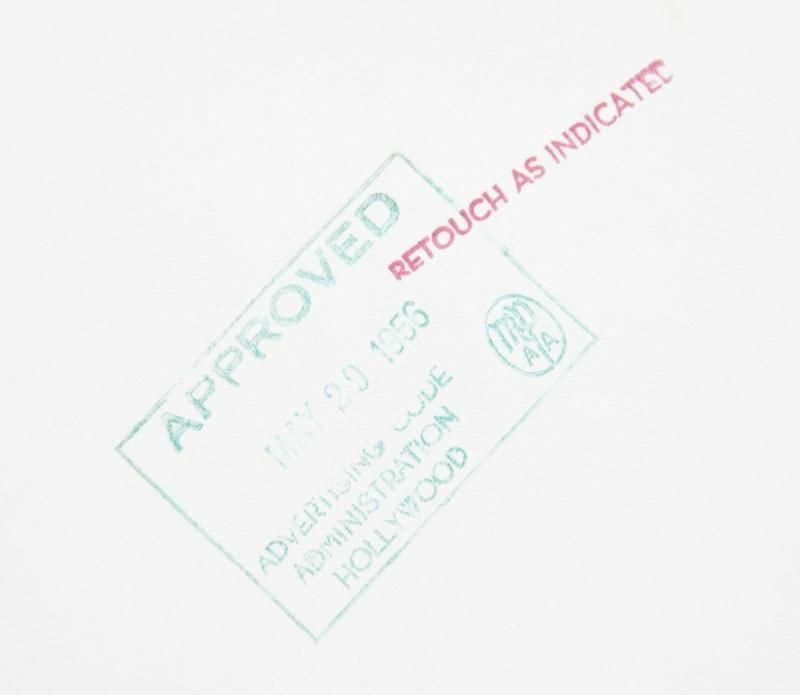 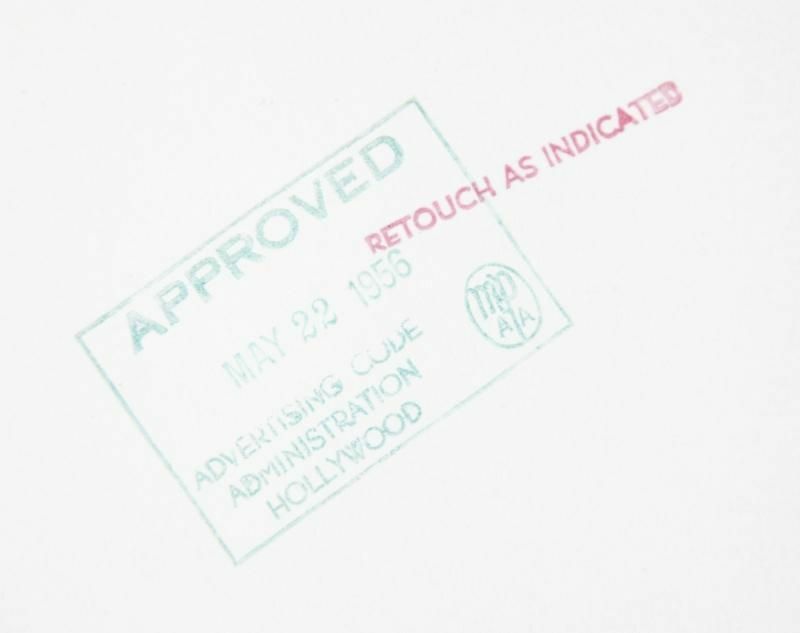 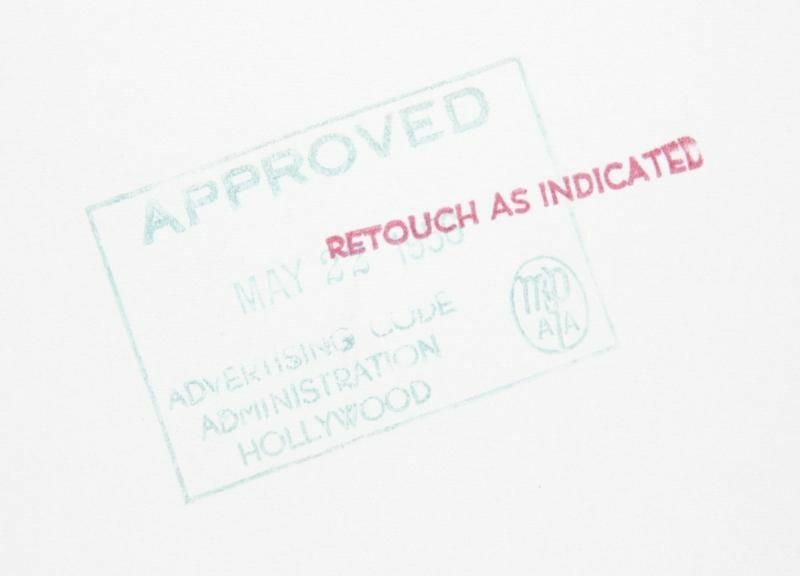 Twelve of these photographs have been additionally stamped "Retouch as Indicated" in red ink, and the surface of the photo has been drawn on where censors indicated to make Marilyn Monroe's wardrobe less revealing in the photographs. 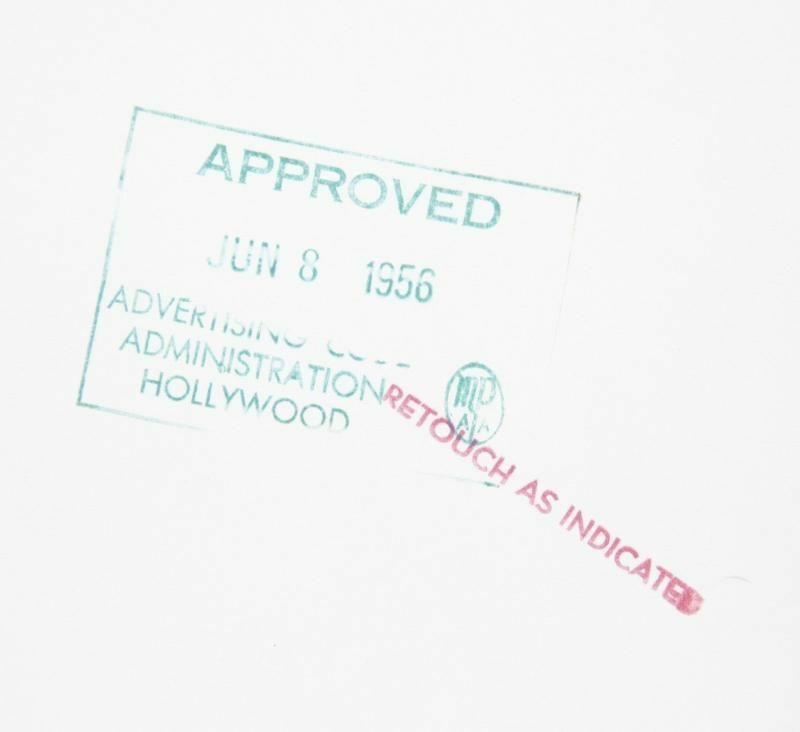 Nineteen small black and white prints also stamped by the Advertising Code Administration of Hollywood. 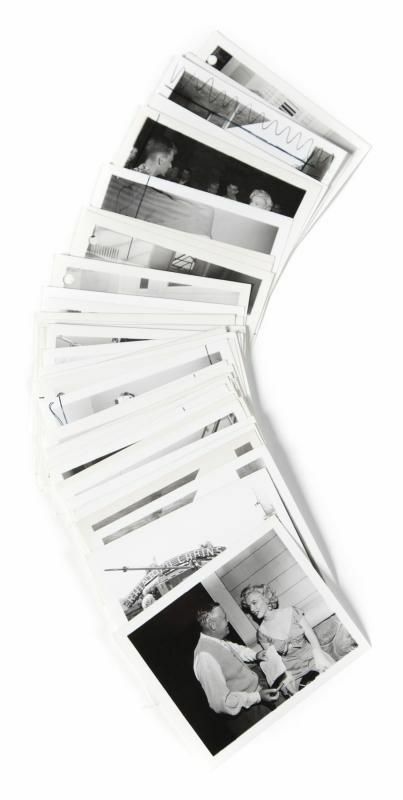 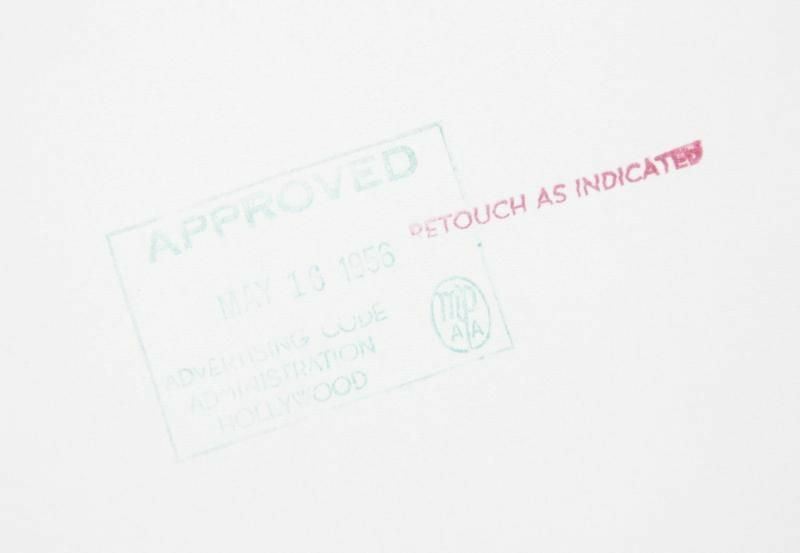 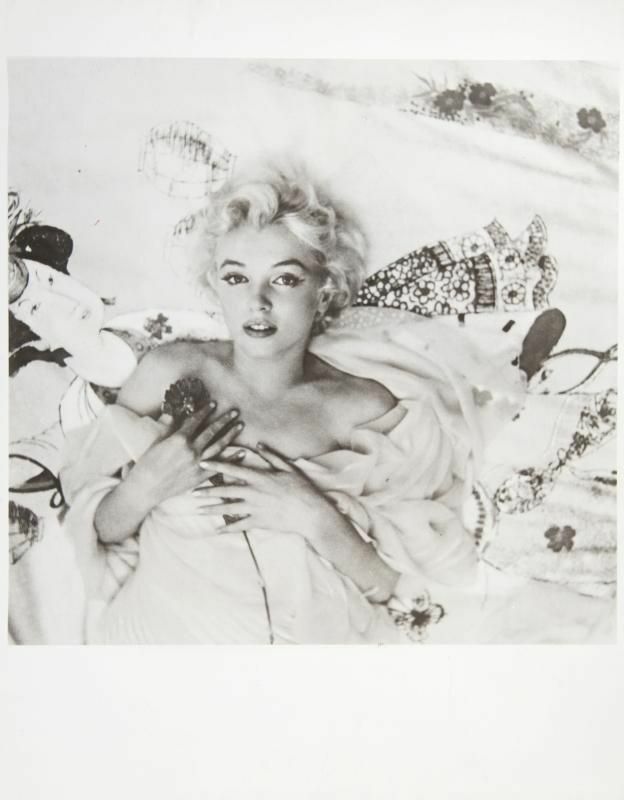 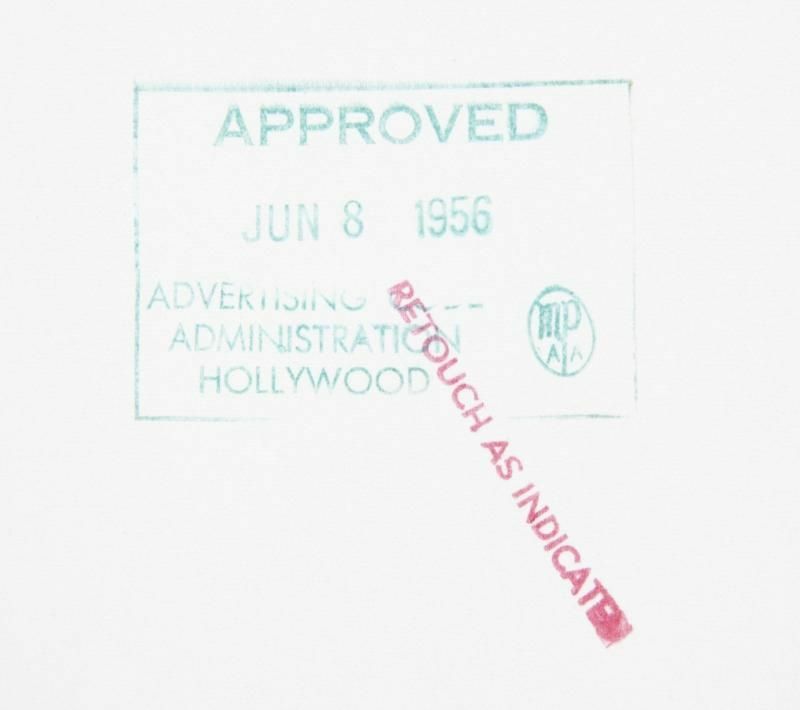 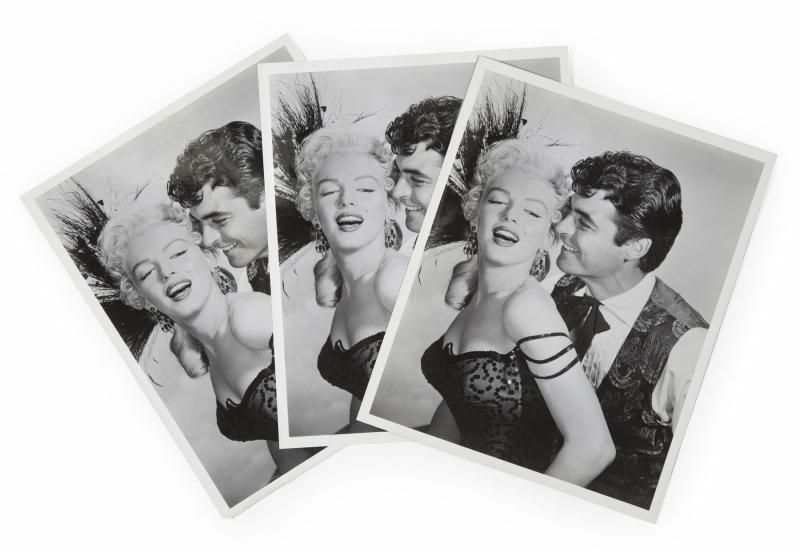 Three black and white small prints stamped "Marilyn Monroe Productions Approved by _______" on verso. 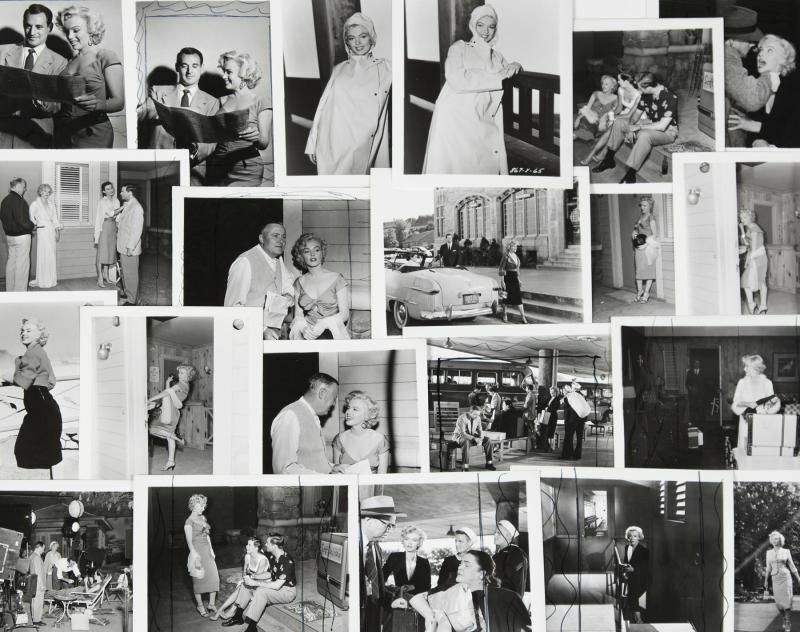 Nineteen black and white snapshots taken on and off the set. 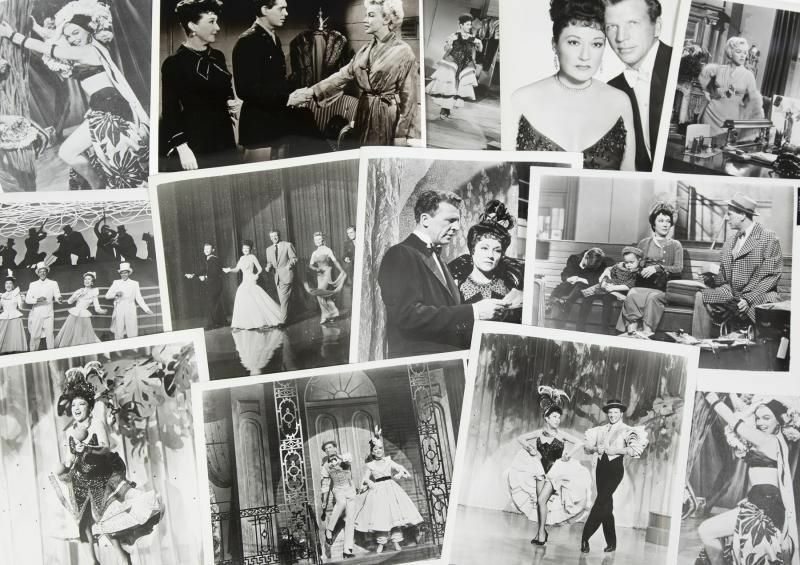 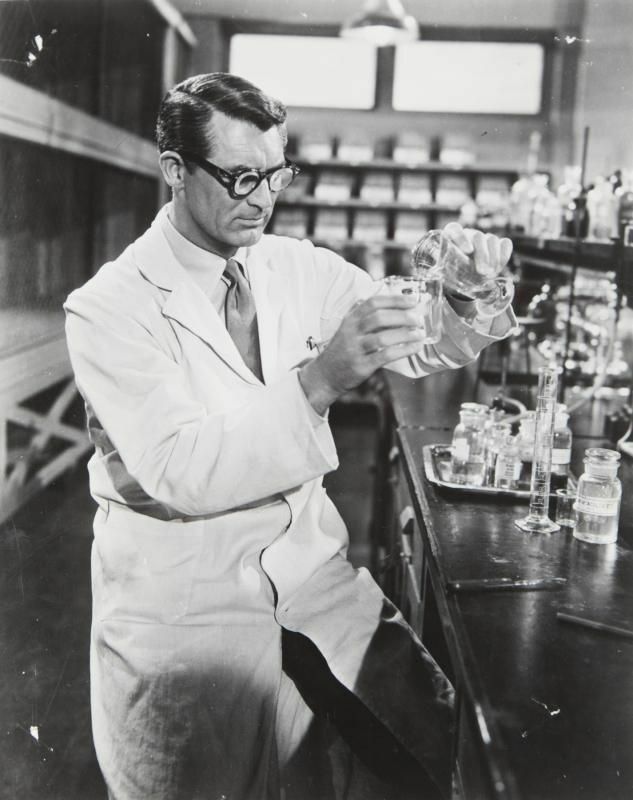 Sixteen black and white publicity images. 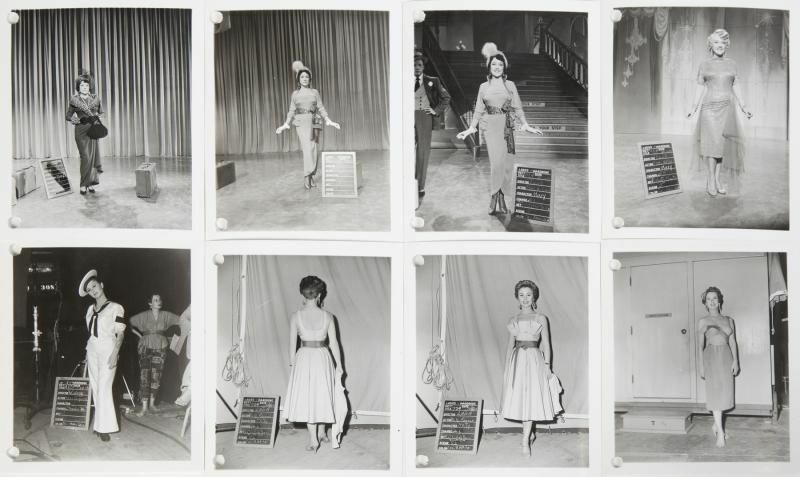 Two wardrobe shots with the transparencies of Don Murray. 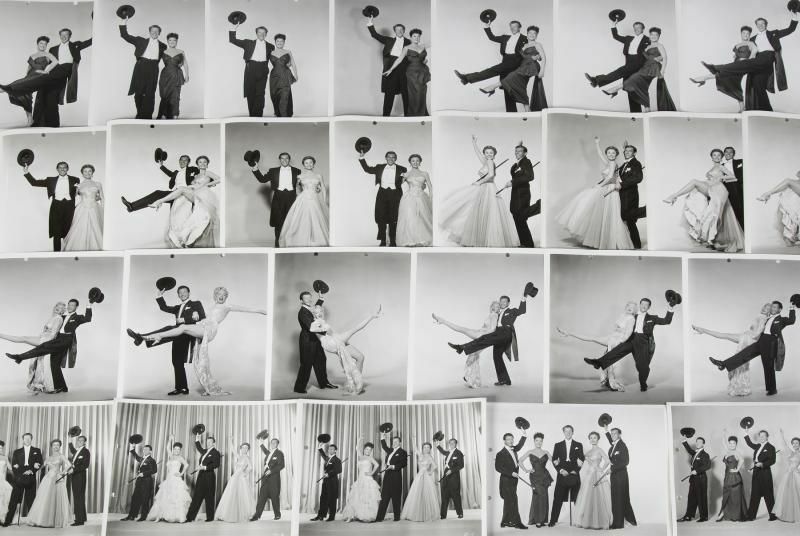 A small number of other photographs for unknown use. 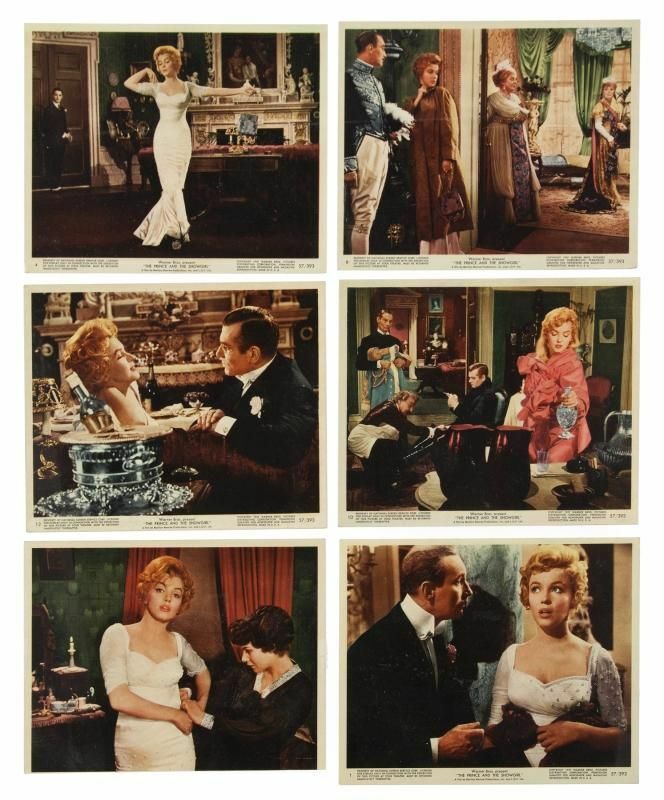 And nine color publicity clips that would have been sent to newspapers and magazines for promotion of the film. 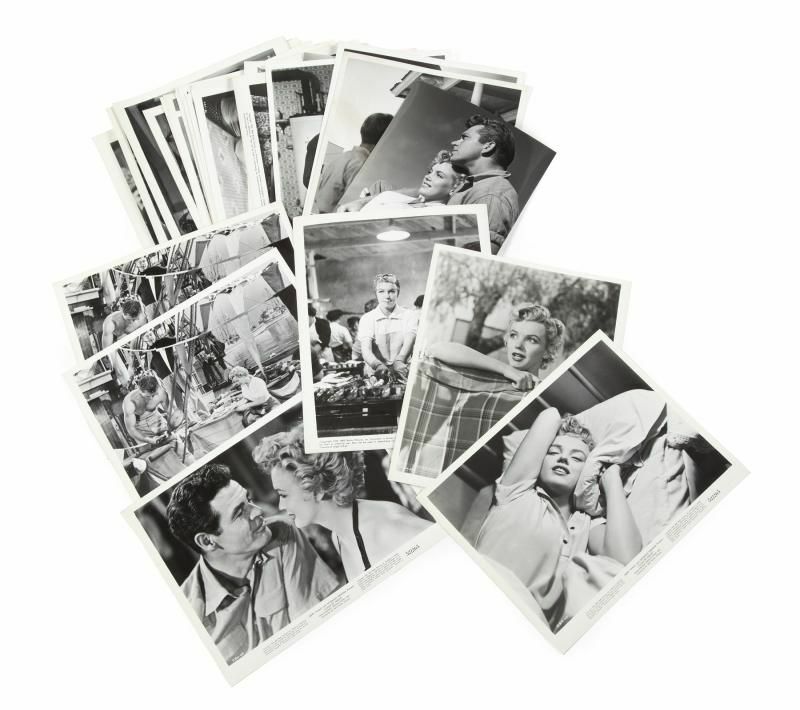 An archive of publicity images from the film Let's Make Love (20th Century, 1960). 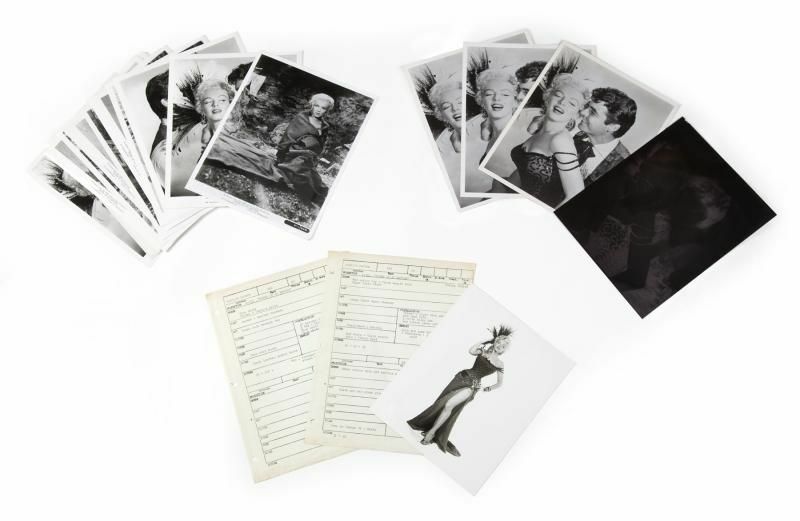 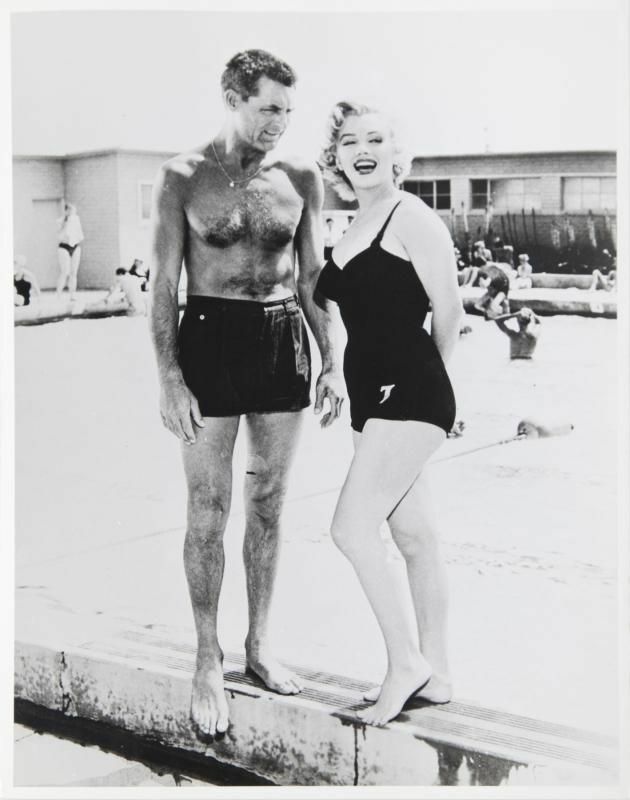 The archive includes four small black and white photographs from the set of the film: two of Marilyn Monroe in her revealing black costume, one with notations on where to phototouch the image, and two of co-star Yves Montand. 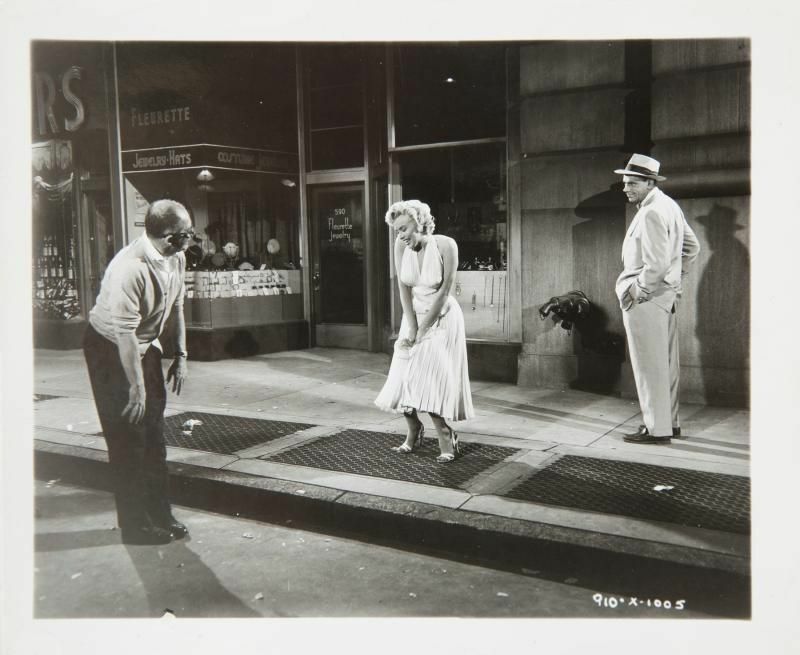 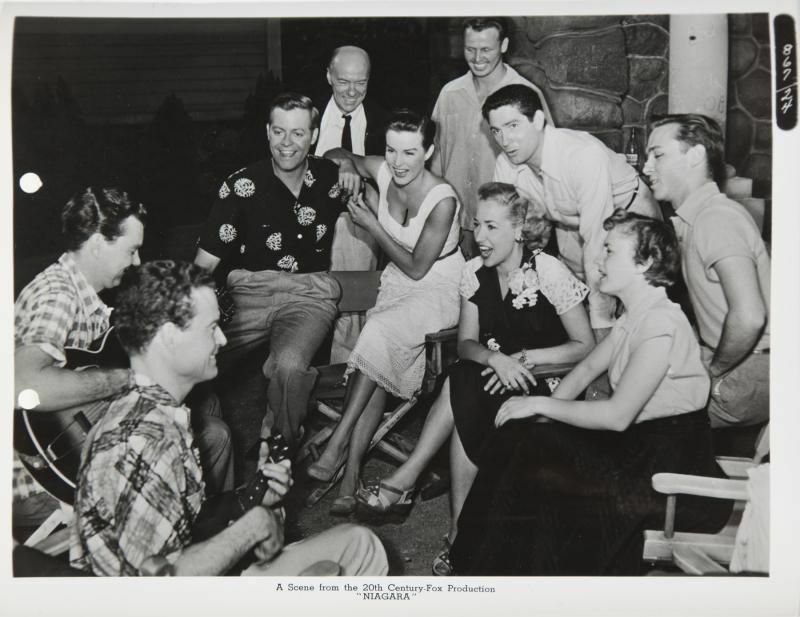 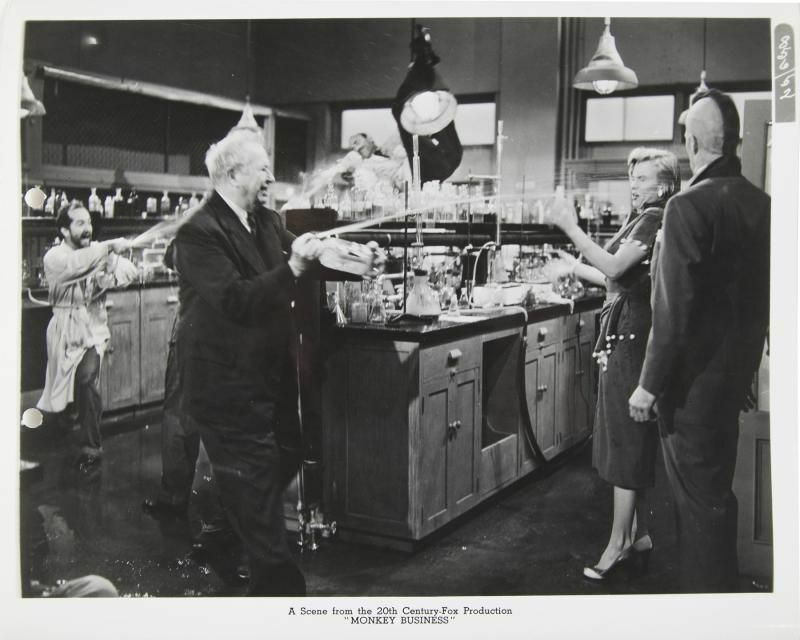 Approximately 45 stills from the set have been stamped on verso by the Advertising Code Administration of Hollywood. 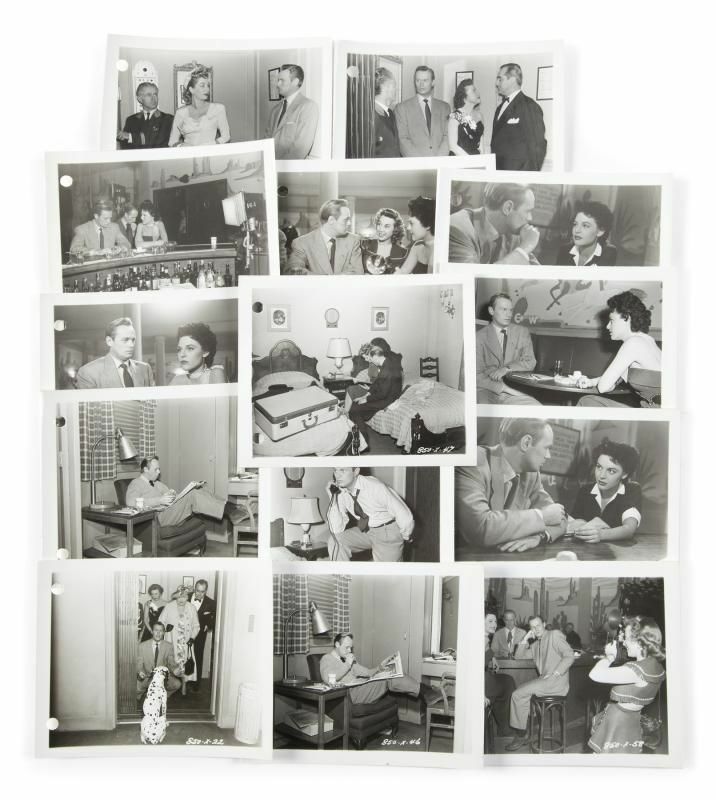 Seven publicity stills distributed to newspapers and other print media to publicize the film. 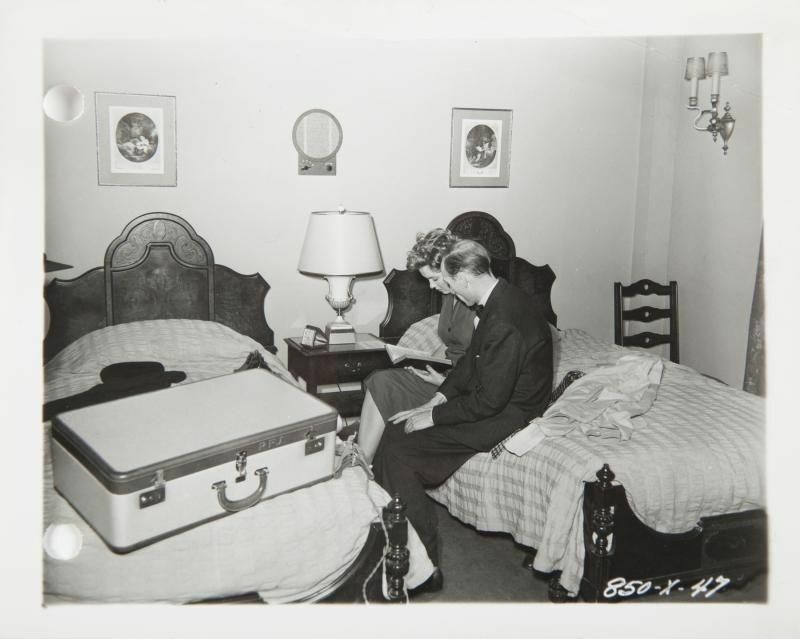 And two additional images for an unknown use.